Welcome to Theme Park Apprentice 8. This season, you will be creating a cumulative theme park of your own design throughout the competition. Every attraction, show, shop, and restaurant you later create must fit into the original concept presented here, and while some modifications will be permitted your theme will be locked in. -At least four themed areas (not including the entrance area). -At least one notable attraction per area (except the entrance area). -A unifying theme for the whole park, as well as individual themes for each area. -A broad theme is one that is very general and often encompasses many smaller themes. These can often be thought of as genres, and while works within them may share some traits there are only a handful of absolutes that define these themes. Examples of broad themes would be Fantasy, Sci-Fi, Horror, etc. -A narrow theme can be thought of as a small section of a broad theme. Narrow themes typically cover a smaller collection of works that all fit within a sub-genre of the main genre. For example, Traditional Fairy Tales would be a narrow theme within Fantasy, Dystopia/Utopia stories are a subset of Sci-Fi, and American History is one section of History. -A single theme is a specific work or collection of related works that fit within a narrow theme. An individual book, movie, video game, etc., or a franchise of such fit this category, as would a bunch of stories all discussing the same event. 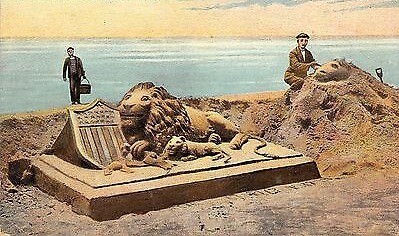 The Legend of King Arthur and his knights, Panem (aka the Hunger Games franchise), and the American Civil War would all be examples of single themes fitting into the narrow themes above. -In general, you will often get the best results when you use a broad or narrow theme for your overall park, narrow themes or single themes for the individual themed areas, and single themes for individual attractions. While it is possible to do an entire park with a single theme, this is generally not recommended as you may run into a corner due to the limitations of the theme and will definitely limit the potential audience of the park. Lastly, a word about IP. In the theme park industry, IP based attractions are rapidly becoming the dominant focus at major theme parks worldwide. However, there are no theme parks based solely on a single IP. This is because IP is a single theme and carries the same limitations as any single theme. Therefore, while you are welcome to use IP within your park for attractions and themed areas, we will not permit a park that is entirely based on a single IP. 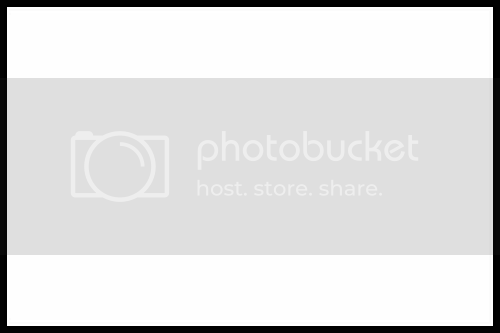 Special Image Allowance: In this challenge, you may use two images per themed area in addition to your header and footer. As always, images are not required and do not replace text, they are only to enhance your proposal. Remember, whatever you pitch you will be expected to stick with. While we will allow small to medium-sized changes (up to but not exceeding the addition or replacement of an entire themed area), major overhauls like completely ditching your original concept to create something new are frowned upon. As for IP, you are not committed to only IP listed here and you are not bound to use everything, but we expect to see most of it in your final proposal unless it is rejected. Also, IP is not exclusive...multiple competitors may use the same IP provided they do not create copies of each other's attractions. All proposals must be submitted by Saturday, June 4th at midnight. While we will not be eliminating anyone at this point (though we will provide critiques), you must submit a satisfactory proposal by that date in order to participate in Theme Park Apprentice 8. 1. Dark Ride: Welcome to Theme Park Apprentice 8. Your first task is simple: Design a dark ride for your park. You may use any type of attraction of any level of scale, but it must follow the basic premise of a dark ride...story and theme over thrill. 2. Flat Ride: For your next challenge, you must develop the ultimate flat ride attraction. Take a stock model carnival ride, then add anything you desire to make it a true one of a kind attraction. 3. Dining Experience: All theme parks have restaurants, and all theme parks have shows. However, few have an attraction that combines the two together. For this task, you must create not just a full service restaurant, but a dining location that is a full attraction in its own right. 4. Thrill Ride: One core demographic of the theme park audience is the thrill seekers. Your task here is to create a ride just for them, delivering an adrenaline rush while fitting in with the overall theme of your park. Roller coaster, water ride, high speed car chase...the choice is up to you. Redemption: Past Mistakes: At some point, everyone deserves a second chance. If you were eliminated and think you can do better, this is yours. Redo the challenge you failed, keeping the same idea but improving the execution, and show that you can hold your own against others who have made it this far. 5. Street Show: Not every theme park attraction requires a permanent venue. In this challenge, you are to come up with a live performance that can roll out, perform, and then disappear as though they never existed. Parades and static shows are both permitted, but whatever you choose must be an event and not just a diversion. 6. Themed Area: You’ve shown you are capable of creating an attraction. Now, you must use your skills to create an entire themed land. Pick your favorite of the past five challenges and build a land around what you pitched. Be sure to bring everything you’ve got, as only the best of the best will continue on. 7. Theme Park: You teased your theme park at the beginning, but now it is time to show what you’ve got. Pitch your entire park down to the last detail, and show why your idea is the best. You'll have two weeks, but use your time wisely as the title of champion is at stake. Lastly, we still have an opening for a third judge. If you are interested, see the announcement thread for details on how to apply. Okay, I think that wraps it up. Good luck to everyone, and I can't wait to see what you all come up with. Marina Keep, Port Solent, Portsmouth, Hampshire, England, UK. Flashback is a retro-themed park Portsmouth, Hampshire, UK. The park differenciates itself from the Merlin brand parks by focusing on a theme of nostalgia, and presenting five lands designed to evoke memories of a time gone by. Flashback puts history at its heart, and this can be seen through its mission to promote and use wherever possible classic rides from times gone by. Broadly speaking, Flashback’s ride compliment can be seperated into Heritage rides (which although originally placed elsewhere have been restored and moved to the park), “New-Old” rides (although being of recent construction are built using (near) identical methods and standards as would have been used in the past), and “Old-Style” rides that are built in a way to evoke the feeling and ride experience of heritage rides, but using modern techniques to meet modern standards (this is used where the old methods aren’t available, or where old methods would not meet modern safety requirements and cannot with minor alterations be made to meet modern standards). Completely new Rides may be offered where the retro rides simply aren’t possible, but the goal is to offer as many of these as possible. The park contains an entrance area (Jubilee Gardens), an outdoor “Thrill ride” area (Atlantic Boardwalk), an indoor “thrill ride” area (The Crystal Palace), a traditional pleasure gardens with gentle rides that take advantage of the calm surrounds (The Pleasure gardens), and an area designed to evoke the feeling of a traditional countryside fair/Agricultural show (Midsummer’s fair). This is an Independent park. No Specific IP is planned. Epson.eu estimates the 2006 urban portsmouth area population as 1.5 Million, but 200k in the local authority area. Portsmouth presents many advantages to a theme park operator. First and foremost it is a tourist destination in its own right. As its name suggests it is on the seafront, attracting British tourists looking for a seaside holiday (vacation). This is further boosted by Portsmouth’s position within British Naval history - it is one of the traditional homes of the Royal Navy, was where the fleet which destroyed the Spanish/French fleets at Trafalgar departed from, and remains home to HMS Victory, the ship which lead the British Attack, and place where the celebrated mastermind of the attack - Admiral Nelson - took his last breaths. Flashback does not seek to out-trafalgar Portsmouth’s existing attractions - with the historic Naval dockyard (and HMS Victory) just across the bay, Flashback recognises that guests who want to experience Trafalgar will get the “real thing” at Portsmouth’s other attractions, and may indeed be facing an element of “trafalgar fatigue” at this point. The Park is adjacent to the “Port Solent” leisure complex, which comprises of bars and restaurants allowing for a pre-built “Downtown Disney” experience. Although the location is somewhat boxed in, the available land area is greater than than the area used in Thorpe Park. Flashback offers, in addition to its opening area (Jubilee Gardens), one thrill based land (Atlantic Boardwalk), one indoor ride and entertainment land (Crystal Palace), and a calmer zone comprising of the Pleasure Gardens, and Midsummer’s faire, offering a calmer garden and gentle pleasure ride experience and rotating seasonal attractions in order to encourage repeat business. This area is themed as a typical British High (Main) street on 2 June 1953. Why is that date important? Its probably the biggest party ever held in the UK - Queen Elizabeth II’s coronation. 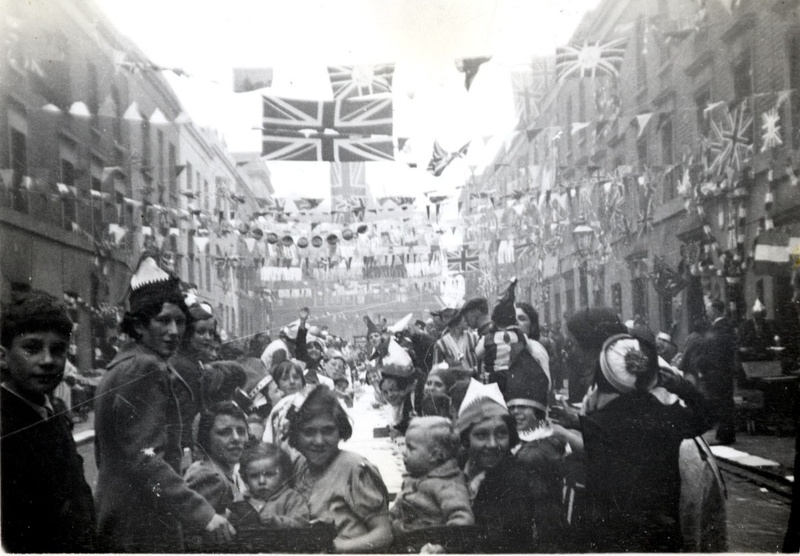 The Street is covered in bunting, Union Flags, and has a full street party atmosphere. The stores are split between faux-fronts and full service stores. The Faux fronts promote legitimate 1950’s goods, with 1950’s televisions particularly prominent displaying the coronation on a loop. This is the main entrance area, although there is a secondary (peak) entrance for ferry access behind the Crystal Palace. Signature Attraction: The Street Party atmosphere allows for a daily Parade, and a Pre-Opening champagne breakfast on selected days (upcharge, for obtain a a pass from one of our partner hotels). This area evokes the feeling of Coney Island, and the amusement parks of times gone by, with a nominal date of being the 1920’s. This is a “Thrill” ride area, where you can also find typical american street food, carnival games, and street entertainers. This area is targeted at couples in their 20’s visiting, and teenagers. Signature Attraction: The Flashback - A Wooden Reversing Roller Coaster, a type the vast majority of our guests would likely never have experienced before. The Crystal Palace is named for, and its design is inspired by (but not the same as) The Crystal Palace for the great Exhibition of 1851. The Crystal Palace recognises that Portsmouth can expect about 7 days a month in summer with at least some level of precipitation - 42mm-50mm of rain per month. Whereas other parks in the UK offer a “rain guarantee” allowing free re-entry another day if there is rain, Flashback recognises that this isn’t ideal for visitors working to a calendar and ensures that there is at least some level of entertainment available in all weathers. 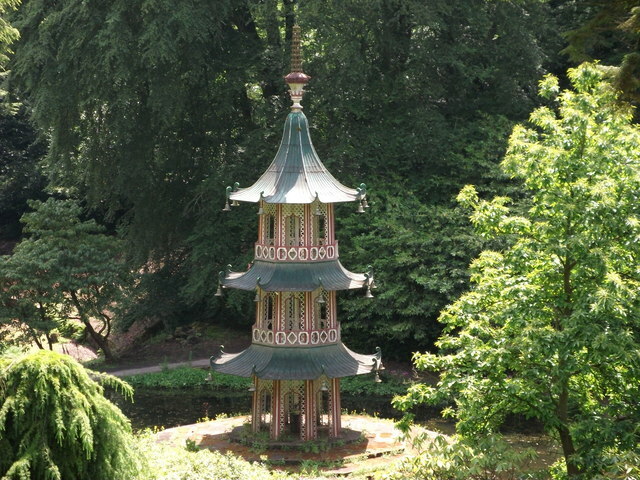 As such, the Crystal Palace includes a variety of different attractions and experiences to cater for all tastes. Signature Attraction: The Fun House - Operating on a Ghost-Train like system, this takes you through -physical visual illusions and effects (no cheap computer or screen work here) designed to disorientate, confuse, and yet amuse you. Signature Attraction: Cygnet’s Journey - A take on the classic “River Caves” attraction, but rather taking you through paper machette scultpures, goes through outdoor gardens designed to make you feel like you’ve just gone around the world. The Pleasure Gardens (and midsomer’s Faire) will see landscape changes such that the car park beyond the fence would be below the fenceline, meaning the area will likely have a bowl-like shape. This would also mask the motorway beyond creating the impression of being in a completely isolated place. During the usual winter downtime period, Midsummer’s faire and the pleasure gardens open to become “Winter Wonderland”, where you can visit Santa in his village, as well as help (or watch) his elves construct toys. Entrance in this period is in a dedicated themed entrance, and the rest of the park is closed in this period. Flashback will seek strategic alliances with local Portsmouth attractions including the Historic Boatyard, The Spinnaker Tower, Blue Reef Aquarium, and others to produce a “Portsmouth Resort Pass”, allowing access to a range of otherwise independent businesses for guests with just a single payment, simplifying entry and helping promote the destination (Portsmouth) as a brand. Local businesses will be encouraged to offer discounts to pass holders in exchange for their business being listed in the pass directory (as happens with the London Pass). Arrangements will also be sought with South West Trains (for London based tourists) and Great Western Trains (for South West England) for National Rail tickets allowing transportation to the park (including a shuttle bus from the nearest station) and Park Entry in a single ticket. Presently South West Trains offers 2-4-1 entry to Thorpe Park if a SWT ticket is purchased, this would differ from our offer in the destination on the ticket itself would read “Flashback Theme Park”, and thus be able to include park entry within the ticket. The Park would also work with SWT and GWR to make available additional cheaper “Advance” (airline style fixed date and time) tickets for days when the park expects fewer guests to help stimulate demand. The Park will also offer inclusive entry with Hovercraft transportation during peak periods, allowing the excitement to start before entering the park. As this is the only scheduled hovercraft service in the world, it offers a distinctive point that cannot be matched by any other park. The distinct “Thrill” zone of Atlantic Boardwalk and the calmer Pleasure Gardens/Midsummer’s Faire area require two distinct advertising and marketing campaigns. Atlantic Boardwalk have a ride focused “Challenge” based campaign, whereas Midsummer’s Faire and the Pleasure Gardens will target parents with either kids too big to be seen at a theme park with their parents, or with kids young enough to be thrilled by gentle rides to come for the specific EPCOT-Style events. It will be possible during some of these EPCOT events to purchase a reduced non-rider entry that doesn’t include access to the Boardwalk or Crystal Palace. The park will not operate a Halloween event, but will instead offer an Oktoberfest experience before the park closes for the winter season. In Winter, the park itself is closed, but the Pleasure Gardens and Midsummer’s Faire become the site of “Winter Wonderland”, a creation of Santa’s Village. This is more than just a generic winter overlay, but almost the creation of a temporary christmas park (although the “gentle” rides of the pleasure gardens will be open too with such an overlay). Opening day for “Winter Wonderland” will include special chaterted steam trains to bring Children, and their parents, to meet Santa in his village. Helping keep the Illusion of this being a different place to the park is a special themed entrance that is only used in the winter season. Car based clientelle can reach Flashback through the M27. The access roads and some car parking already exist for the park as they currently service the Port Solent Entertainment district, however they may need upgrading to support the additional traffic. Further space will be allocated for car parking so as not to inconvenience marina and other facility customers. Although this is present, it is not encouraged by the park to use these facilities, and instead guests are encouraged to use public transportation and shuttle bus services in order to minimise local impact. Nearby Cosham Station offers direct rail connection throughout southern England, including London, Bristol, Southampton, and Brighton. It can also draw upon the power of the National Rail network to service guests from further away. A shuttle bus service will operate between the park and this station. 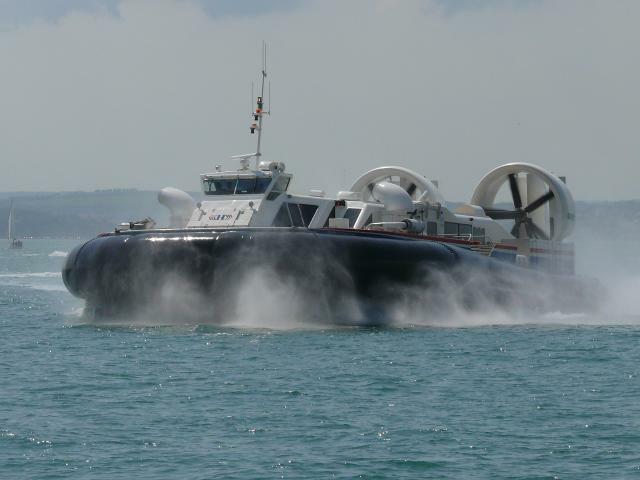 Portsmouth presently has a hovercraft service and ferry offering to the Isle of Wight as well as several local points. During peak tourist periods, the park will open its second gate (behind the Crystal Palace) to these operators allowing connections to Portsmouth Harbour, Southsea, Gosport and the Isle of Wight - an exciting way to visit the park. 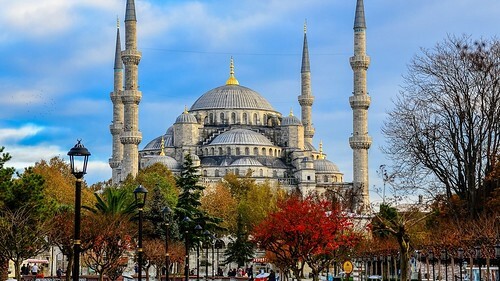 Further Afield, Air connection is available from Southampton airport, where routes available include Scotland, the North of England, Amsterdam, Paris, and throughout Spain. Operators offering airport connections will be encouraged. Portsmouth also has sea connections to France, The Channel Islands and Spain (over 3.5 Million people go through this port every year), and shuttle busses can be pre-booked to meet clientele from these services, and to and from local hotels. The Paulsgrove Recycling centre and the Defence driving school will be relocated, the channel filled in as part of the work. As the area is currently extensively used for leisure no special infrastructure is expected to be needed. Two blocks are specifically reserved for expansion at this time. Depending on needs of the competion, they may be called into play, or left as expansion. (As the rules say While we will allow small to medium-sized changes (up to but not exceeding the addition or replacement of an entire themed area) only one of these is going to be used). The Westernmost expansion area will likely be used for another theme that takes advantage of the waterfront location, and would need to appeal to a late teen-20’s crowd. It is likely that this area would be designated for an Louisiana/Mississippi River area pulling greatly from Mardi Gras, and include a multi-use riverboat at its core. The Easternmost block would need to provide a semi-urban style (to compliment the Boardwalk) whilst also enabling a transition to the “calmer” zone. It is likely that this area would focus on water and “Splash” rides, including the grandaddy of them all - a Chute the Chutes ride. Space will be reserved on the headland to the south of the park to the west of the M25) for possible resort hotels, and for moving the back of house if the easternmost block is reused for rides. Hotel Guests would gain free access via ferry to the park, defaulting to a shuttle bus if conditions were particularly rough. Flashback is the Perfect way to bring yesterday’s fun to tomorrow’s generation. It’s attractive to both long distance and local visitors through memorable, now one of a kind attractions, and through changing its lineup with the season to encourage locals, and Londoners to not just visit once, but to keep on visiting. Buyan Island looms large in Slavic myth. This ever-moving island is home to the ancient gods and source of the world’s winds. Like Valhalla or Mount Olympus, it is the common wellspring for all Russian mythology. 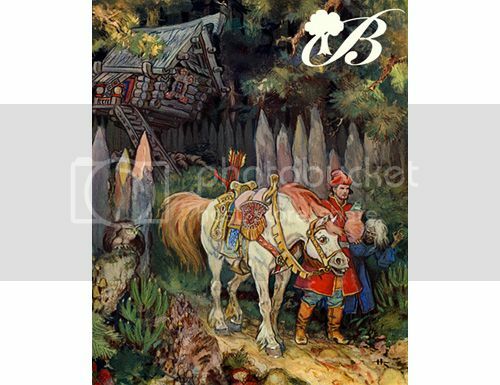 A wealth of fairy tales and legends, the backbone of the Russian civilization for over a millennium, owe Buyan a debt. Announcing Buyan Park, a celebration of Russian folklore and culture, coming soon to St. Petersburg! In the quarter century since the fall of the Soviet Union, modern Russia has grown into the world’s sixth largest economy. As Russians rediscover their pre-Soviet heritage and adjust to globalism, the time is ripe for theme park development! The past few years have birthed Russia’s first two such parks, in Sochi and St. Petersburg. These parks are unremarkable and small, but successful nonetheless for their novelty within Russia. Buyan Park will improve tremendously upon them as Russia’s first fully themed park, appealing to international visitors as well as locals. Buyan Park is located in Leningrad Oblast just outside of St. Petersburg (better building codes). It is ideally situated alongside the Neva River near several major highways, and a quick tram ride away from the metro line servicing St. Petersburg’s city center. St. Petersburg itself is a prime park location. Among Russia’s major cities, St. Petersburg boasts the most temperate climate. There are 4.5 million people within the city limits, and double that in the surrounding region. The city is also Russia’s best tourist destination, favored by Muscovites as well as Western Europeans on holiday. (Buyan Park employs multilingual signage and cast members to accommodate international guests.) A grand Baltic tour of parks, from Efteling to Europa Park, could easily add Buyan Park as a truly worthy endpoint. Buyan Park is set almost entirely indoors, shielded from the harsh Baltic winters, sothat it may operate year-round. This is much like South Korea’s Lotte World. Buyan’s six lands (or Realms) each use their own independently-functioning structure. Attractions’ show buildings directly abut the Realms’ structures without intruding. Shimmering enclosed glass walkways connect the Realms internally without sacrificing guest comfort or immersion, while backstage roadways outdoors run unobtrusively below these bridges. Every part of Buyan’s interior is climate controlled, guaranteeing a comfortable visit come rain or shine. Approaching from the Neva or the P-21, the vast Buyan complex resembles an intricate and exquisite piece of Russian jewelry. Outer structures appear as onion dome steeples styled after St. Basil’s. Towering 400 feet in their center is the iconic Buyan Egg. Sheathed in glass and finery to resemble the world’s largest Faberge egg, the Buyan Egg uses the same architectural lessons made famous by London’s Gherkin skyscraper. Entering through monumental Russian Revival gates, guests first encounter The Promenade. Enclosed under skylights and lined by Baroque fountains like those favored by Catherine the Great, The Promenade boasts fine dining and shopping. The Great Fountain of the Rus, Buyan’s signature entry sight, hosts ambient musical shows. These spectacles of water and light are set to Mussorgsky’s “Pictures at an Exhibition,” which inspires The Promenade as a whole. Here too is Buyan’s outdoor district, The Palatial Gardens, which provide bucolic picnic grounds, romantic trails, and a space for unique seasonal events in both summer and winter. Near the entrance, free to all, is a high-capacity coat check, for those colder months when guests arrive wearing massive fur jackets. 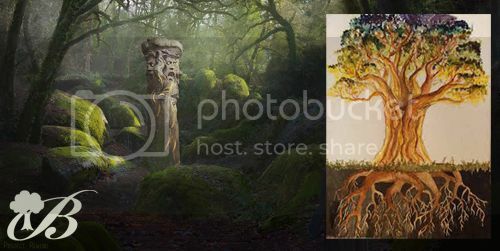 Buyan’s central hub, within the Buyan Egg, is The Great Oak Hill. Looming skyward is a truly gargantuan oak tree: a World Tree in the center of Buyan Island which connects the heavens with the underworld. Natural lighting and massive headspace help The Great Oak Hill feel quite unlike a typical mall, a common pitfall for indoor parks. Here guests may ride golden chariots to the clouds, encounter the Three Winds, or listen to a tale told by Tatyana the Enchanted Cat of Buyan. Noteworthy attractions include a polercoaster around the tree, a drop tower within the tree, and a traditional Russian puppet show. Glorious Kiev takes visitors back 1,000 years, to the cradle of the Rus and the foundation of the Russian empire. 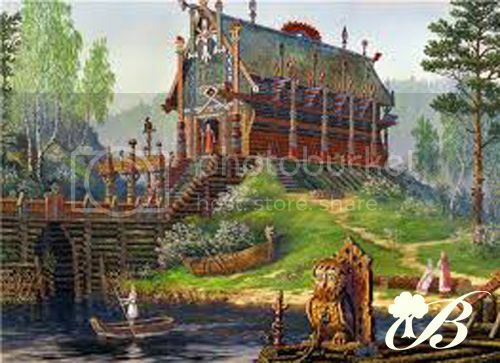 Monumental wood architecture of Ancient Kiev (no relation to the modern Ukrainian capital) is the historical setting of the Bogatyrs (legendary heroes). Epic fantasies are recreated by roaming performers in Renaissance Faire style. The smells of sumptuous feasts waft past warriors’ tents. Here guests may set sail with Sadko the adventurer, battle alongside the hero Ilya Muromets, and witness Alexander Nevsky’s war against the Golden Horde. Noteworthy attractions include a live stunt spectacular, a dueling wood coaster with a unique to-be-revealed “world’s first” element, and a top secret flat ride. Into the overgrown copses of Folklore Forest, where all manner of fairy tale creatures dwell. Sure to be a childhood favorite, guests can come face-to-face with talking trees, mischievous imps, and relive the alluring stories they grew up with. Stylized curlicue branches provide the land’s natural canopy, cozy and warm. Here guests may join Vasilisa the Brave as she enters the lair of the Baba Yaga, ride a magic log into the realm of the Rusalka, and quest for the legendary Firebird upon a flying wolf. Noteworthy attractions include a flume ride, a spinning family coaster, and a suspended dark ride. In the mines underneath the haunted mountains of Siberia, the darker figures of folklore make their home in Enchanted Caverns. Underground streams lead guests to discover rich veins of copper, giant crystal caverns, and other dark recesses. 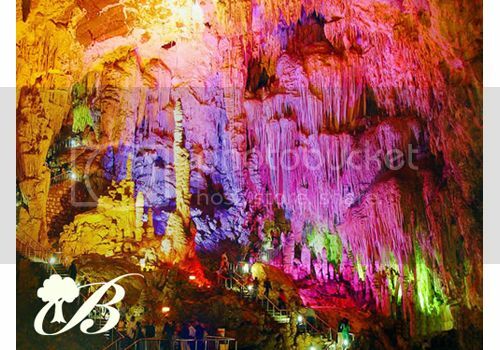 A strange, mystical glow makes these catacombs a wonderful place for adventure, colored by Siberian folklore. Here guests may steal treasure from a fire-breathing Zmey, engage in a wizard’s battle against Koschei the Deathless, and mine for precious metals alongside friendly Karzeleks. Noteworthy attractions include a launched indoor coaster, an interactive dark ride, and a shoot-the-chutes water ride. Noble Tsardom highlights Russian high culture during the Tsarist era, when creators like Nikolai Gogol reintroduced the old myths to a new generation. A romanticized version of 19th century St. Petersburg plays tribute to the great Russian artistic traditions of literature, ballet, painting, music, and more. The opulence of Russia’s cultural Golden Age festoons every corner, complete with replicas of sites like the Hermitage Pavilion and the Amber Room. Here guests may enjoy a romantic sojourn on Swan Lake, partake in an abridged Russian opera in the stately Buyan Theater, and experience a replica of history’s first roller coaster, the Russian Mountain. Noteworthy attractions include several live shows, and a tow boat dark ride. Located near the main entrance, Noble Tsardom is even capable of offering hard-ticket theatrical events in her performance venues, a welcome addition to St. Petersburg’s vibrant cultural scene. As an independent park without a massive budget (apart from the astounding crown jewel that is the Buyan Egg and the Great Oak within her), Buyan Park relies on simple, elegant charm. Though Buyan’s content may appear esoteric, its characters are as familiar and comforting in Russia as Mickey Mouse and Captain America are in the U.S. Better yet, nearly all IP featured at Buyan Park is over 100 years old (at the very least), and all of it is public domain. 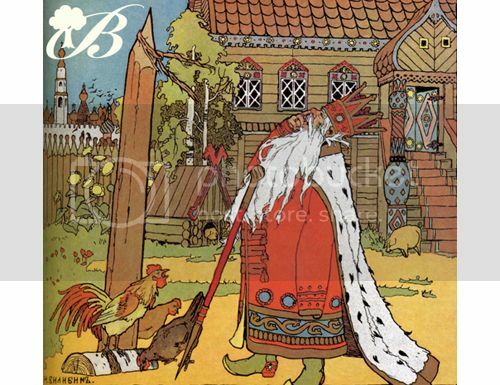 The artwork of Ivan Bilibin, the main visual inspiration for Buyan Park. 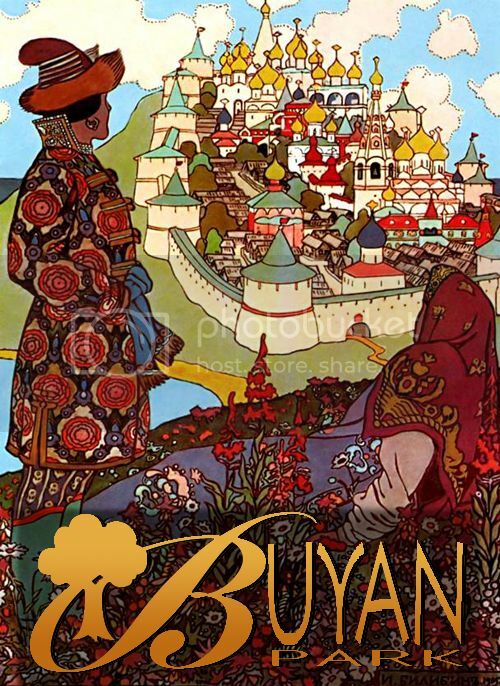 Visual aesthetics park-wide take inspiration from 19th century illustrator Ivan Bilibin. A set designer by trade, Bilibin’s images enjoy a proven track record being adapted to the real world. Music in the rides and Realms comes from Russia’s past, from traditional folk songs and the masterworks of classical composers (often using Soviet era recordings, which do not require licensing). All rides utilize simple, proven technology found in regional parks such as those run by Merlin or Cedar Fair. Buyan Park is sure to appeal to every Russian, young and old, through its celebration of timeless Slavic heritage. Foreigners should likewise be enchanted by Buyan’s sense of beauty, innocence and fun, and by its robust use of theme. St. Petersburg’s vibrant cultural scene fuels an ever-changing roster of live entertainment. From wild thrill rides to relaxing jaunts for the entire family, all ages are welcomed. 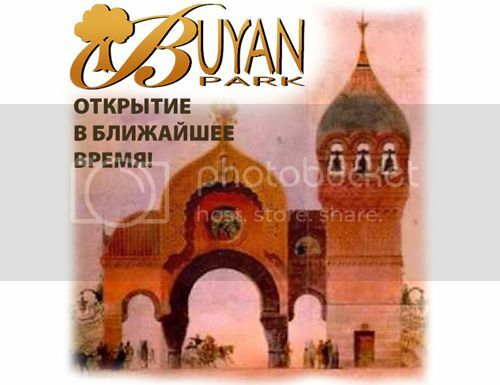 Buyan Park’s design follows in the classic family park tradition. It combines the best of the new and the old: Russia’s very first true theme park, dedicated to Russia’s ancient heritage, fairy tales and folklore. Chad and Douglas, thank you for your excellent entries. I can't wait to see what else you have in store. To everyone else, this is just a friendly reminder that the audition round is scheduled to close on May 28th, so if you wish to compete in this competition start getting your submissions in. We really enjoy hosting this competition every year, but it relies on the participation of TPI members. If we do not have competitors, it is difficult to host the competition. Don't feel intimidated by other competitors, just submit your best idea and give it a try. As has been said before, there is no difference between a first-time competitor and a past winner, all it takes to win are good, creative, and original ideas. This indoor park will actually take guests “on the set” of their favorite animated characters and immerse them in the action. As an indoor park, the concept is that the park is an indoor movie studio with each of the themed lands as a soundstage, where your Disney friends’ adventures are currently “in production”. This park will consist of five themed lands each serving as a passage to a certain soundstage environment where guests can decide which “productions” to partake in. As guests enter the park, guests will arrive into the heart of the DisneyToon studio lot as the scene is set for the guests’ upcoming adventures. This area is similar to Disney Studio 1 at Walt Disney Studios Paris offering a similar old Hollywood vibe with a cartoon flair. Studio Central will be home to mostly restaurants and shops including a cartoon nightspot reminiscent of the Ink and Paint Club from Who Framed Roger Rabbit or the House of Mouse. (Official name TBD) As the United Arab Emirates is a mostly Islamic country which daily prayer is part of their culture, there will be quiet, unthemed rooms where Muslim guests can take time out of their visit to practice their daily prayer (There will also be a prayer room in each soundstage that guests can take advantage of) Studio Central will also be home to the park’s icon which will be a statue entitled “Spirit of Imagination” which was modeled after the Disney Legend Award (http://www.disneybymark.com/wp-content/uploads/2011/07/DbM01.jpg) which symbolizes the enduring spirit of imagination that Disney’s animated characters have impacted our culture. When guests decide which production to “star” in, guests will walk through a passage which leads to the next “production area”. •	A Zootopia wild mouse coaster/dark ride where guests will join Nick and Judy on a thrilling police chase through Zootopia’s various districts. Other planned aspects of this area will include the Sugar Rush Racers family car ride, a Big Hero 6 inspired Japanese eatery, Jerry Jumbeaux’s Ice Cream Parlor (the place in Zootopia where Judy bought Nick the Jumbo Pop) and a character greeting area which will cycle with the most recent Disney characters. Classics Corner will take guests back to the early days of Disney Animation paying tribute to the early black-and-white Mickey Mouse cartoons. Here guests will step into a black-and-white pier area where guests can “star” in some of Mickey’s first adventures. (For a gist of what the area will be like, think of the Timeless River level in Kingdom Hearts II) Planned attractions will include a “Plane Crazy” family coaster, a “Trolley Troubles” family flat ride with Oswald the Lucky Rabbit and the signature attraction-a Steamboat Willie flume ride. One of Disney’s most beloved animated characters will receive his own themed land which will take guests into the whimsical 100 Acre Wood and encounter their favorite characters in their original environment. This area will immerse guests in the 100 Acre Wood and will feature iconic locations such as Pooh’s house, Owl’s treehouse and Rabbit’s garden. Attractions will include a “hunny” tree themed swing ride, a Tigger bounce flat ride and the Blustery Day Rescue river rapids ride. Guests will also be able to have their meet characters such as Pooh, Tigger and Piglet in the character greeting area or grab a bite at the “Rumbly in My Tumbly” restaurant. However, watch out for Heffalumps and Woozles as once a day, they invade the 100 Acre Wood in a “streetmosphere” spectacular featuring acrobats, inflatable performers and larger than life puppets. As a new take on the “Fantasyland” concept, this area will depict a medieval celebration honoring the arrival of the Disney Princesses. The area will feature a combination of the European village archietecture of Disneyland’s Fantasyland with the tournament-style tents of Magic Kingdom’s. All the Disney Princesses from Snow White to Elsa will be represented in some form as an attraction, restaurant or shop. Considering that the princesses come from different reaches of the globe from including Agrabah, New Orleans, ancient China or Arendelle, the theming of the area will have subtle touches of each princess’ heritage mixed in with the traditional storybook design. (e.g. the Aladdin attraction’s tournament tent entrance will have a combination of Arabia and a medieval fair). Although this area will focus on the princesses and their stories these experiences will be geared towards all ages and genders. Some experiences will Mrs. Potts’ Dancing Dishes flat ride (a new take on the tea cups), the Royal Carrousel which will feature horses honoring all the princesses and an all-new dark ride inspired by local favorite Aladdin which will take guests through the story on flying carpets. In addition, guests will be able to enjoy a meal at Tiana’s Café or King Fergus’ Feast Hall. There will also be a meet and greet area where guests will be able to meet all the Disney Princesses on a rotating basis. This area will be the largest of the park’s lands and will be composed of several smaller “mini-lands” based on a specific Pixar film. The land’s entrance will be similar to that of DCA’s Animation Building with various sketches of Pixar films with music playing and various “gateways” for guests to step into a film’s universe. In the middle of this courtyard will be a statue of Luxo Jr. balancing on a ball. While I have not made a final list of which movies I will incorporate, some titles I am considering include Toy Story, The Incredibles, Up, WALL-E and Inside Out. Each mini-land will contain about 1-2 attractions, a dining establishment, shop and entertainment offering. There will also be walkways for guest to access between each film’s land. Potential major attractions include a launched roller coaster themed to Dash from The Incredibles and an Inside Out trackless dark ride which will take guests through the various aspects of Riley’s mind. In conclusion, this new park will provide the people of Dubai with a Disney park suited for their tastes while providing a new destination with this sprawling tourism market. DisneyToon Dubai hopes to immerse guests in the worlds of their favorite animated characters and be a first-of-its kind Disney theme park experience. America the Beautiful will be a new park that will take guests on a trip through the United States of America. The park will be located just outside of Washington D.C. because that is the heart and capital of America. This will be a privately owned park, and therefore will be using no previously owned IP. Themed lands in the park will all be based on various areas of the U.S. They will all be fully immersive areas that take guests into different regions of the U.S. For the most authentic experience, cast members from each region will be placed in their region. The New York area will lead to the lake, which the rest of the Themed Areas will surround. In the center of the lake is the Statue of Liberty, a true symbol of America and Freedom. New York: This land will serve as the entrance land. I chose this to be the first thing you see because it is the gateway to America. This land will take guests into a slightly glorified Manhattan. Here guests can see various New York landmarks such as the Empire State Building, and the Metropolitan Opera House. Also, guests can visit today’s incredibly popular Richard Rodgers Theatre where the Thank You, Places! dining experience will be performed. This experience tells the story of a frantic cast trying to get their act together for the next night’s dinner show in America the Beautiful. This street leads to the lake, so let’s begin! New England: Moving counterclockwise, we are brought the New England. This land will picture the small town living of the northeast. This land will incorporate a blend of living in the Berkshires, to the coast of the Atlantic. Entering from New York will appear to be more about living in the woods, and it will slowly blend into becoming about being near the ocean. Here, guests can experience the true essence of New England. Guests can also join the most famous chase, on Paul Revere’s Midnight Ride. West Coast: On a much larger note, we are onto the West Coast. This area will be about fantasyland-sized in comparison to the other lands in Magic Kingdom. Coming in from Yellowstone will seem very similar at first, with some large scale rockwork and more forest showing Yosemite national park. This area features the screen-based shooter Yosemite Valley Fire Patrol where guests must shoot water on the fire to save Yosemite valley, and earn competitive points while they’re at it! This theme transitions into the City of San Francisco. This area is themed specifically to the pier, with its atmosphere of ocean life. Here, guests can find shops, dining options, and even see real live sea lions! Right next to the border of the next area the theme gets older until we are in the heat of the California gold rush. Here, guests can pan for gems with pre-prepared bags of sand and stones. This part of the land also features the family coaster Forty-Niner Express, a fun ride for all ages. The Frontier: Our next area brings us to the old west. Travel a little back in time and visit a pioneer town in the desert out west. Here guests can experience the spirit of adventure traveling across the continent. Visit the idea that we’ll do anything to get our chance. Guests can see this adventure on Oklahoma or Bust, an omnimover attraction where guests can join a wagon train and head west. Guests can also experience a tornado on The Real Twister Here, guests experience simulated high and low pressure systems on a “Scrambler” style flat ride. The Southeast: The final stop on our journey across America is the southeast. Home of good old-fashioned southern hospitality. As guests enter the land from they are immediately immersed in the small town, low stress atmosphere of the south. Guests enter from the frontier in a small farm town, but the theme gradually switches to being more about the natural wonder of the south. Guests in this part of the land are in the Great Smoky Mountains. This area features a high-speed winged roller coaster with multiple inversions called Scalded Haint (named after the southern phrase “run like a scalded haint”. I don’t know what exactly a haint is, but a scalded one can run really fast!). Every day at America the Beautiful closes with the jaw-dropping nighttime spectacular The Melting Pot. This beautiful show combines water screens, projection technology, fountains, fireworks, pyrotechnics, and a riveting new score composed by Gavin Greenaway, renowned for his score for Illuminations: Reflections of Earth. This show has a part for each land, followed by a celebration of the rest of America, in a montage. The show ends in a grand finale celebrating the diversity of America, and its ideals, as the lights focus on the Statue of Liberty. America the Beautiful features dining experiences unmatched by most other regional theme parks. While it serves its burgers and fries, it wouldn’t be right to have a whole park about America without including the diversity of it’s cuisine. Thank You, Places! : Dining event as described above. Clambake is located in New England. This seafood buffet offers a wide variety of food prepared in traditional New England style. Chowder House in the San Fran section of the West Coast serves high quality clam chowder in homemade sourdough bread bowls. Also served here are other seafood dishes and a “Surf and Turf” option. Rodeo Barbecue serves delicious Barbecue food at its outdoor picnic. Served family style, this eatery offers barbecued chicken, ribs, pulled pork, and traditional salads (coleslaw and potato salad, but these change seasonally). Smoky Mountain Trout House can be found in the Great Smoky Mountains, featuring all fifteen preparations of trout, including, but not limited to, grilled, Lemon stuffed trout, and the ever-popular trout baked with parmesan and bacon. Other items besides trout will be served here, but why bother! Sit a Spell. This will be a fine diner serving classic comfort food with a side of southern hospitality. Enter the life of a southern family at their own table, all with their own personality. Actors will be placed throughout, waiters/waitresses and family members all having their own character. America the Beautiful will be a wonderful addition for theme park fans. Guests on this tour of America will really feel as though they are in the various regions of America. We hope to show people the true America the Beautiful. Special Announcement! Due to a shortage of entries at present and several competitors indicating interest but having short-term schedule conflicts (such as final exams), the judges have decided to extend the entry period for an additional week. The deadline for entry into Theme Park Apprentice 8 is now Saturday, June 4th at midnight. The initial post has been updated to reflect this change. On another note, welcome to the competition Christoper and realdonaldduck. Both of you have written wonderful and creative outlines, and I'm excited to see your ideas develop over the course of the competition. The newest theme park destination in Tokyo, Japan! Toho Studios Park is the home to nearly every major Japanese pop culture icon. This is not a boring, cheap studio park with warehouse buildings and disorganized ideas. This is a gateway to several of the real realms seen in Japanese cinema. The park is divided by major genres, including sci fi, anime and samurai. Best of all, Toho Studios Park has two whole lands based on the world’s longest-running film franchise, and the world’s “biggest” movie star: Godzilla! Godzilla is Toho Studios Park’s icon, mascot and central landmark. Towering at the park’s center is a massive lifesize Godzilla! This building and attraction, 0ver 300 feet tall, occasionally screams and spits flames from its mouth. This effect is sure to please crowds, and will be used in Toho’s big nighttime spectacle. The entry land takes guests past a replica of the real Toho Studio entry (with its man-sized Godzilla statue), to a nostalgic recreation of old Tokyo. This is a faithful duplicate of the original Toho Studios as it appeared in its earliest years, well before World War Two. See 1920s Tokyo as it stood before The Great Kanto Earthquake. A central building is modeled on the old Tokyo Central Station. Rail cars carry guests. In the park’s hub is a statue/fountain to look like the Toho logo. Production Avenue satisfies the classic needs of a studio park: live shows demonstrating how movies are made. The main attraction is Super Kaiju Battel Royale!, which will use destroyable model sets and costumed actors to recreate a cheesy old monster movie. Parades on Production Avenue will use floats made to look like Godzilla and his kaiju friends. From the hub at night, icons like the 300 foot Godzilla and nearby (fake) Mt. Fuji become the stage for a night time spectacular. This is the land for all Japanese sci-fi. It is modeled to the famous Neo Tokyo setting from the landmark cyberpunk anime AKIRA. Futuristic buildings bathed in neon house computer bazaars. This is a rainy dystopian future like in Blade Runner. A happier section of Neo Tokyo has a Googie retro-future look famous from Astro Boy. The main attraction is The Akira Coaster (real name TBD), an indoor launched racing motorcycle coaster. There is also a Ghost in the Shell dark ride, a Super Sentai stage show, and a Speed Racer VR bumper car ride. Other IP will include Astro-Boy, Space Battleship Yamato, and Chou Sei Shen. The flagship land is based on the original Gojira (Godzilla) movie from 1954. Experience mid-century Tokyo while it is under attack by the massive radioactive monster Godzilla. The central Godzilla icon structure looms over smashed buildings and military hardware. See a replica of the Lucky Dragon ship, whose demise in an A-bomb test inspired Godzilla’s creation. Enjoy military brass bands and vintage Japanese culture. The land’s(and park’s) main attraction is the hypercoaster Godzilla: King of the Coasters, which uses the Godzilla landmark building. Also here are an EMV ride where guests pilot a gigantic mecha battling the kaiju (Destroy All Monsters), a King Ghidorah spinning coaster, a Rodan flat ride, and a MechaGodzilla playground. The sillier Godzilla movies featured dozens of bizarre giant monsters, who all lived together in the Pacific Islands in places like Monster Island or Infant Island. Monsterland encompasses all these locations. Guests cross radioactive nuclear bridges, which make them grow to the size of kaiju monsters (the entire land is in Lilliputian miniature). Infant Island is the birthplace of Mothra, and home to a Mothra-themed inverted roller coaster through the canyons. There is also a dinner theater show put on by Mothra’s native worshippers. On Monster Island, guests can ride Anguirus for a tour of the monsters’ in their natural habitat. There is also a playground, Minya Mayhem, and flat rides based on the lesser kaiju. This is a family land where all their favorite anime cartoon characters are to be found. It is basically a cartoony version of a modern Tokyo suburb, with familiar characters’ houses. This is home of Toho Studios Park’s other major mascot character, Doraemon the robot cat from the future (Japan’s Mickey Mouse). Doraemon has a meet ‘n’ greet and an interactive dark ride about time travel. There is also a water pistol shooter dark ride based on Crayon Shin-Chan, and other similar rides. IP here include Lupin III, Detective Conan, Inuyasha, Naruto, Urusei Yatsura, and more. And maybe Pokémon? This is the land for Studio Ghibli, the famed animation studio of Hiyao Miyazaki, whose film are distributed by Toho. A gentle forest with ancient shrines houses lovable creatures. Old world village facades bridge the transition from Anime Prefecture. Totoro’s Gentle Flight is a family flight simulator. Also from Totoro, the Catbus carries guests across the land like the Hogwarts Express. Chihiro’s Bathhouse (from Spirited Away) is a trackless dark ride into a bathhouse for the gods. Ponyo Into the Sea is a family boat ride. There is also an interactive forest trail inspired by Princess Mononoke, a Kiki broom ride, and a Miyazaki Carousel of Flight based on the many, many friendly flying characters in Miyazaki’s films. Toho Studios Park’s last land takes guests back in time to the Edo period. This is the land dedicated to Toho’s classic old samurai movies, notably those by Akira Kurosawa. The land is organized around a scaled Japanese imperial fortress. Cast members dress as historical people. Guests may opt to cross this land in rickshaws. This is a calmer, more adult land intended for parents and relaxation. The premiere attraction is Seven Samurai: Ronin River, a boat dark ride (based on the greatest Japanese film of all time) with animatronics on a par with Pirates of the Caribbean. Lone Wolf and Cub is a wild mouse coaster in a runaway baby carriage. The Chanbara Theater has live stunt shows based on swordplay epics like Lady Snowblood. As you can see, there is plenty to do and enjoy in Toho Studios Park! It is the perfect destination for families, meant to chase the popularity of Tokyo Disney and Universal Japan. Expansion possibilities include a horror-based land inspired by Jal horror like The Ring, The Grudge, Pulse and House. It is useful to list out the famed Japanese IPs which Toho does NOT have the rights to (if there are any questions): Hello Kitty, Gamera, Power Rangers, Zatoichi, Gundam, Ultraman, and anything by Nintendo. And some assorted anime. Hopefully you like my park! Thank you for your submission, Andrew_G, and welcome to the competition. To answer your question about Pokemon, I'm going to say that even though Toho distributed the Pokemon movies they have no other involvement with the franchise. Therefore, as the franchise belongs to the Pokemon Company (and by extension Nintendo), the IP is not eligible for use in your park. For everyone else, this is the final reminder that all entries are due by Saturday, June 4th at midnight site time (Pacific). If we do not have enough entries by that date to run the competition as originally planned, we will continue with an alternate non-elimination format. More details about this will be posted early next week (if necessary), but either way the first challenge will begin on Sunday, June 5th. If you're already submitted your entry, start thinking about what dark ride you want to present, and if you haven't and still want to compete get your proposal in as soon as possible. Behold, lowly peons! MWAH HAH HAH HAH! It is I, Michael Eisner, your God King! Eisner’s Unthemed Adventure is about nothing. There are no decorations or details on any of the buildings, which are concrete bunkers. With no distractions, obedient guests have no limits to their “imaginations” (such as these mindless simpletons possess). All are invited – nay, obliged – to occupy several full days of continuous spending, spending, spending, spending, spending, spending. Once it opens, Eisner’s Unthemed Adventure is speculated to be sold out for five years straight. It will immediately destroy several major world economies. Eisner’s Unthemed Adventure uses a layout so simple, you dolts would have never thought of it: a straight line! Faceless hordes first encounter the entry area, The Entry Area, themed around entering. From there, it is a continual, inexorable death march due east until the park just ends, then back west, allowing two visits to every shop, restaurant, and mugger. This grim slog compels my loyal money-sacks through four interchangeable lands. See Michael Eisner’s very own desk lamp on an IKEA table. Touch it (fee: $105)! Various blank sheets of paper are spread out across the asphalt. Once they are trampled and destroyed, they are not replaced. In the land’s center is a dank cardboard box with “CHAIR” stenciled on it. To avoid clutter, guests are denied benches. There are no thematic elements in Broken Stapler. It has been said that Eisner’s Unthemed Adventure shall always be complete. It will continue to stagnate as long as imagination is banished from the world. You do realise that through the power of contract, you're now bound to not just keep up the facade, but actually develop the idea now? Disney Royal: a world where intricate imaginative fantasy meets reality, enchanting magic lurks at every corner, majestic kings and powerful queens reign and protect their rule, and the fight for justice is never dormant. Royalty is a key theme in the Disney. These titles are earned through honor or the right of lineage. At Disney Royal, guests are invited to wear the crown of royalty as they explore the lives of rulers coming from classic fairy tales such as Cinderella to exciting adventures of El Dorado. Hong Kong is an ideal location for Disney’s expansion from the existing Hong Kong Disneyland. Space is not a limiting factor, and the presence of a new park will foster improvements within the existing park and increase the popularity of the destination as a whole. Beginning though gates gleaming of white and gold colors adorned royal blue tapestries, the Royal Boulevard serves as the grand entryway into the park. Notable attractions include the Disney Imagineering Academy, a two day workshop for adolescents who wish to learn more about how the Disney magic comes to life. This attraction requires prior booking due to limited availability. Horse drawn carriages take up a fraction of the boulevard. Each carriage is distinctly unique, resembling the coaches of princesses such as Cinderella, Aurora, Belle, and others. The queue begins at the entrance to the park, and guests leave the ride at the entrance to the French Court themed land. France is famous for the splendor of its royalty, and Disney Royal’s French Court reflects such majesty. Following the entrance, younger guests are invited to visit Cinderella’s magic garden, an attraction featuring the magic of the Cinderella movies. Down the road, classic fairy tale land seamlessly transforms into the French Quarter. A variety of products are available at the shops. A key feature is Tiana’s Palace, which captures the fictional fine dining restaurant from the Princess and the Frog to the smallest detail. Cheaper food options are also available at smaller venues. Neverland encompasses the magical enchantment of Disney Royal. Neverland features Pixie Hollow, a meet and greet area with the Fairies. This section of the land is authentic, as the foliage is enlarged to create the illusion that the guests are fairy-sized. Also, the Neverland Pirates, is a live show in an open-air theater. This show is based on the television show Jake and the Neverland Pirates. Though primarily based for a younger audience, this show is entertaining for the entire family! To increase the land’s appeal to an older audience, Neverland also features an indoor thrill ride. Utilizing the Bolliger & Mabillard flying coaster ride technology, guests fly with Peter Pan and friends as they venture to Neverland, encounter sinister pirates, and reveal hidden magic. The New World epitomizes the spirit of adventure as guests are led through a distant landscape of native North America. While monarchs wholly supported such journeys to these lands, explorers found monarchs there as well. Hidden behind a tremendous waterfall is the entrance to Pirates of the Caribbean and the Fountain of Youth. This new rendition of the classic Disneyland ride features various new plot elements and special effects. Jamestown Settlement is a testament to European colonization. Guests are invited to dine and shop, while visiting various traders along the way. Pocahontas’ Spirit is a boat ride showcasing the natural beauty of the precolonized North American lands. Guests also view various woodland animatronic creatures up close. The Emperor’s New Groove is a comedic show that features loved characters such as Kuzco. This show will leave guests wholly entertained. El Dorado is a mini roller coaster ride based on the movie The Road to El Dorado. The ride fantasically incorporates the splendor of El Dorado while also capturing the thrill of the final scenes of the movie. Merida’s Archery Challenge is an interactive ride that allows guests to use bows with the fired arrows projected on screens. This ride also keeps record of the scores, allowing guests to compete for the highest score. The Dragon’s Fury displays the epic battle between knight and dragon in Sleeping Beauty. This high speed roller coaster ride is intended for the thrill seekers at Disney Royal. The Dark Forest highlights the sinister forces lurking within many of the enchanted Disney tales. It also notes the power of royalty to bring justice to such dark forces. Disney Royal is a fantastic new addition to Disney theme parks. With its strategic location and its many new components, it will be a pleasing park to theme park afficionados and newcomers alike. 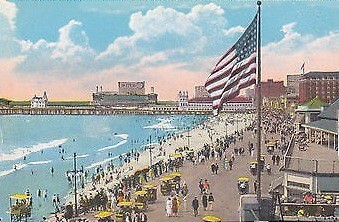 During the early 20th Century, Atlantic City was the epitome of prosperity in America. Throughout the 1920s and 1930s, modest boarding houses along Atlantic City's beach made way for grand million dollar resort hotels as thousands of vacationers flocked to the famed Boardwalk to enjoy its various diversions and affairs. 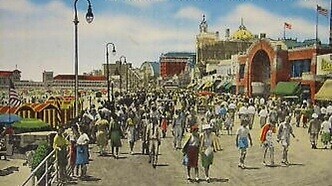 In 1929, the New York Times toasted Atlantic City's Boardwalk as, "A magnificent proof of America's newly found wealth and leisure. It is an iridescent bubble on the surface of our fabulous prosperity." 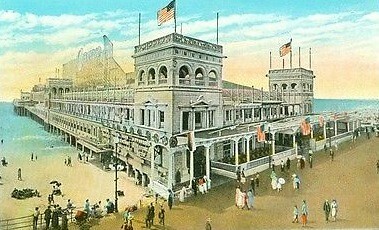 Atlantic City was known as "The World's Playground". 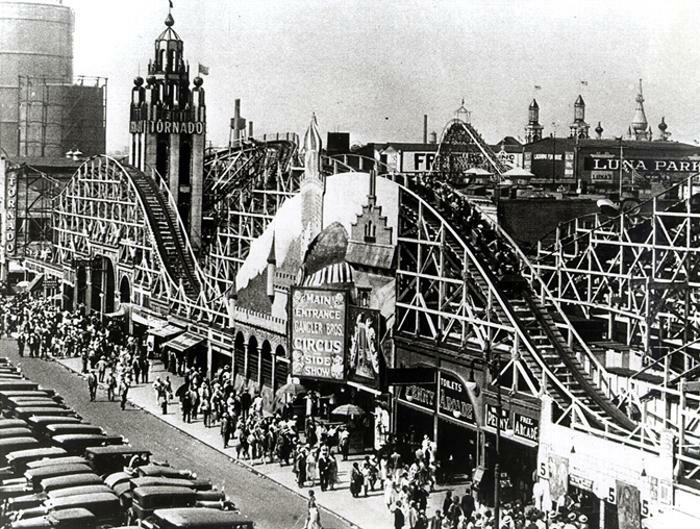 The Boardwalk was a colossal offering of escape, popular culture, fun and fantasy. This all-in-one entertainment mecca, novel in its day, has never been matched, not even at latter-day theme parks. 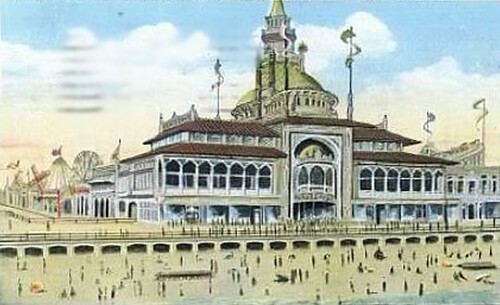 Where else could one take the entire family for a day and see fortune-telling parakeets, the World of Tomorrow, John Philip Sousa and his band, a bear on a bicycle, World Famous Diving Horses, take a ride below the sea in the Diving Bell, spend the evening in the marine ballroom, and take in a movie? Atlantic City had everything for everybody - a grand retreat served up with gusto and cotton candy, a destination not to be missed and an empire built on grand-thinking impresarios, oddities and glamor that meshed into one cohesive and attainable summer destination. In celebration of Atlantic City during its "Golden Age" of affluence, Rendezvous Park & Pier, a new entertainment complex along the historic Atlantic City Boardwalk, will bring together a themed exposition park, an amusement pier and the fun and sun of the Boardwalk and beach into one fantastic experience. 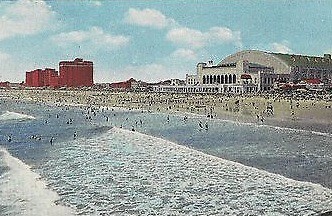 During Atlantic City's heyday, the Boardwalk was lined with extravagant resort hotels - millionaire "sand castles" built along the beachfront. Almost all of these hotels, including the Marlborough-Blenheim, Traymore, Brighton, Chelsea, Shelburne, Ritz Carlton, Mayflower, Madison House and the Breakers, were demolished in the 1970s and 1980s - washed away from Atlantic City's memory to make way for new casino hotels. Only a few relics from Atlantic City's storied past still remain. Rendezvous Park & Pier will bridge two of these historic buildings together, the Ambassador and Boardwalk Hall. All together they will form an arts and entertainment district along the Boardwalk that will preserve the greatness of Atlantic City and promote the Boardwalk as a premier resort destination once again. Rendezvous Park will encompass a 30-acre site along the south end of the Boardwalk bordered by Boardwalk Hall to the north and the Ambassador Hotel to the south. Directly across from the park jetting out into the Atlantic Ocean will be the 800-foot expanse of Rendezvous Pier. In between the park and the pier will be a redeveloped portion of Atlantic City's Boardwalk. Once again, the Boardwalk will feature the famous storefronts of Fralinger's Salt Water Taffy and Planter's Peanuts as well as Shumsky's Restaurant, Mammy's Donut Waffle Shop and Kents Restaurant. The wicker-lined rolling chairs will parade down the Boardwalk, decorated with string globe lights and populated by acts of novelty, magic and comedy. The beach will offer plenty of space for sunbathing and water sports and will also feature a Sand Sculpture Garden, private cabanas for rent and horseback riding. Various regions of the world may be explored on exotic expeditions to the Far East, Egypt, and the Pacific Rim. Attractions include "The Lost World" indoor roller coaster, "The Search for King Tut" dark ride, "Tarzan of the Apes" dark ride and "The Adventures of Doctor Dolittle" boat ride. The Atlantic Ocean is the doorstep to Atlantic City and the Ocean Kingdom will feature the stories, myths and legends of the high seas. Attractions include a "Treasure Island" thrill ride, "Mysterious Island" submarine dark ride and "King Neptune's Water Pageant" water playground. The Future! Technological advancements in the early 20th Century fueled Americans' imaginations as science-fiction began to take root in popular culture. The World of Tomorrow was at hand. Attractions include "Buck Rogers of the 25th Century" thrill ride, "Wings of Honor" flight simulator and "Flash Gordon Rocket Ships" swing ride. The unexplained phenomenon of the weird and unusual will be on display with attractions that will include "Dr. Jekyll and Mr. Hyde". A traditional midway with rides and attractions that will include "Pier Carrousel", "The Whip", "Dodge 'Em", "The Jersey Devil", "Atlantic City Ferris Wheel", "The Hurricane" roller coaster and "The Roaring Twenties" dark ride and restaurant. Midway games and traditional food concessions will also be apart of the midway experience. A colorful tribute to the iconic board game modeled after Atlantic City. Attractions include "Saving Monopoly City" dark ride and "Rich Uncle Pennybags" flat ride. Rendezvous Park & Pier will welcome visitors back to the Atlantic City Boardwalk as they discover the extraordinary history of the glamorous resort destination and Atlantic City, the birthplace of many popular culture phenomena including Monopoly, the Miss America Pageant and salt-water taffy, will once again become "The Showplace of the Nation". Everywhere has a story. Lores, legends, and myths manifest in the rich cultures of countries worldwide. Whether it be the thousand and one Arabian tales of Scheherazade or the heartbreaking love story of Hawaii’s Princess Naupaka, tales like these have been cherished for generations, embedded in the very fabric of nations everywhere. Until now, the worlds and characters of these stories have been nothing but a mirage of the mind, but at ImagineNations they burgeon into a brilliant reality. Are you ready to explore your imagination? ImagineNations proudly calls Houston, Texas home. With a massive population of 6,490,180, the Houston metropolitan area is the fifth-largest in the nation. Furthermore, over 12.5 million Texans live within a radius of a 3.5 hour drive. The park would thrive off of local and regional support alone, backed by close proximity to four of the country’s eleven largest cities. In 2014, Houston received an estimated 14.8 million visitors. 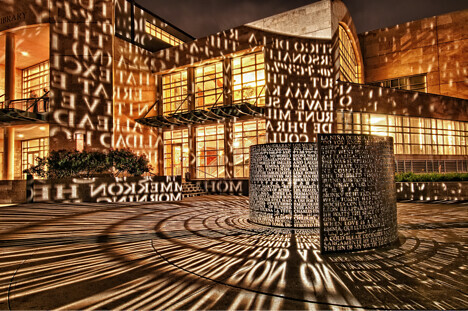 While no direct competition in the area exists, ImagineNations will spark the imaginations of Houston’s visitors and residents alike, quickly becoming an unmissable stop and a world class tourist destination. ImagineNations relies on no intellectual properties. Instead, it brings to life timeless tales that have captivated all of us but have no place to call home; until now, they’ve lived on in our imaginations. While some of these stories have had numerous book and movie adaptations, the versions experienced within the park are new approaches to the original stories. The quest for El Dorado, the mystery of Atlantis, and the clash of Saint George and the Dragon are revisited and retold. Stories like these are familiar and recognizable, enhancing the allure of the park. For some guests, the attractions will evoke fond childhood memories. For others, a recent book read for English class. Regardless of one’s age, ImagineNations will possess both a sense of familiarity and the unknown, welcoming guests in but also provoking exploration and discovery. Throughout the park, stores and restaurants feature exclusive items and dishes that can only be found at single lands or locations. This heightens demand, establishes an immersive and compelling theme, and encourages guests to explore all of the many options that the park offers. At all the dining locations there are “Food Maps,” highlighting the venues with unique culinary options across the park. A small, blank circle is beneath the name of each food item, located over their respective location in the park. When guests order the specified item, a cast member will stamp their map with a unique emblem. If guests completely fill out their entire map, they can redeem the map for a food item of their choice at any of the participating locations. Once redeemed, a cast member will mark the map with an identifying symbol, allowing guests to keep the souvenir without redeeming it again. 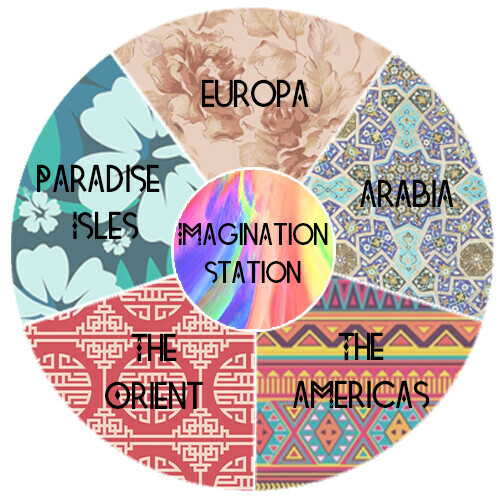 ImagineNations has a central hub with five areas fanning out from it, each themed to a different region of the world. The lands are broadly themed, allowing for future expansions and multiple stories to reside next to one another. 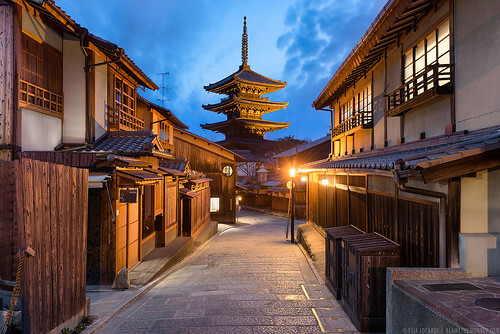 For example, The Orient combines the cultures of countries like China, Japan, Thailand, and Myanmar in a single cohesive and visually stunning environment. Guests arrive in the park via train, the connecting transportation between peripheral parking lots and Imagination Station. Once parked, guests walk towards the ticketing boxes. Then, they pass through the security checkpoint, scan their RFID tickets (promoted as “passports”), and arrive at the train’s loading platform. Several trains run along the three minute route that travels between the border, effectively nulling wait times. Eager to enter the park, Guests board an luxurious, exquisitely detailed train. During the short ride, a combination of interior projection mapping and screen-based windows immerse guests in the park’s world before they even step foot in a single land. By funneling all Guests through the train, management has a captivated audience to share park backstory, times for the day’s shows, and noteworthy attractions. However, this information isn’t presented in a mundane announcer fashion. Rather, dazzling displays of color are projected on the roof of the car, and the train window-screens preview features of the park. Simply put, entering the park is an attraction in and of itself. When guests disembark the train, they arrive in Imagination Station, a gorgeous wrought iron train station with vaulted glass ceilings that serves as the park’s central hub. The interior of the Imagination Station. The grounding icon of the land is the impressive Nations globe, a motorized model of the world that spins and travels vertically via a slender clear pole in the very center of the station. The globe itself is made of a thin metal sheet in the shape of a sphere. The continents are formed from word cutouts; thousands of words from many languages are compacted next to one other, and together their outline forms the continents. The cutouts in the sheet metal also let light shine through, creating a beautiful display. A comparable effect. With the Nations globe, the words would form the shape of continents and dance around the interior of the station as it slowly rotates and travels vertically. Throughout the day, the globe spins slowly and travels the height of the building as playful fountains dance beneath it. At night, the globe rises through a motorized hatch in the roof and is visible from outside of station as it takes part in an touching and jaw-dropping nighttime spectacular. Elsewhere in Imagination Station, Guests find extensive dining and shopping options. This covered area is perfect for rainy Houston days. The rest of the lands branch out of this central area. Because ImagineNations represents areas from all over the world, having Guests arrive in the park’s center physically makes each land an equidistance from the Guests and symbolically deems everywhere and everyone as equal. Although not explicitly stated, the park aims to break down boundaries and remind Guests that there is much more uniting us than dividing us. As Guests exit the station eager to begin their adventure, one area that they’ll explore is The Orient. From Imagination Station, Guests cross a bridge and are greeted by a quaint street in the style of Japanese architecture. Guests are encouraged to take out their food maps for the street vendors selling popular Asian snacks, including fried squid and green tea ice cream. A busy eatery is Fung’s Dim Sum Palace, serving authentic dim sum the entire day. At the far end of the street sits a tall temple in the shadows of looming mountains. This temple houses the Clash of the Dragon and Pheonix, a dueling suspended coaster. Despite its slow, dark ride beginning, the attraction culminates in a ferocious and fiery race through the mountains; it’s certainly an attraction thrill seekers won’t want to miss. Guests looking for a slower pace can commandeer their own junk boat for a leisurely ride through the South China Sea. Afterwards, Guests can sip on a cup of green tea in a traditional tea house or enjoy a free tai chi lesson. 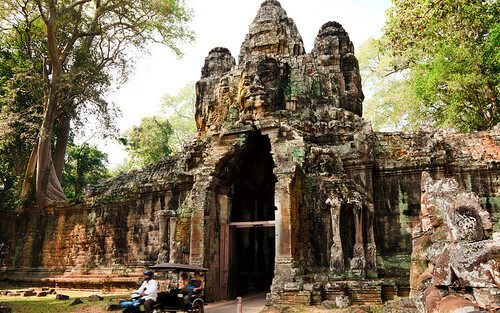 In the midst of the bamboo forest, a keen eye may spot an abandoned temple, crumbling into the jungle. Guests who brave this walkthrough attraction must be wary of mischievous supernatural troublemakers, intent on causing trouble to all who enter. Taking a path around the temple, Guests find themselves entering The Americas. 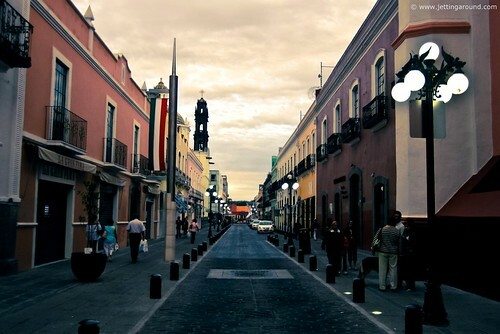 Market stalls line the street of this colorful Mexican town, selling local culinary delights and fresh fruits. Tamales, horchata, and plantains are popular snacks. Hourly, a mariachi band and a dance troop preform festive music and Jarambe folk dancing in the town square. From January to April, a festive and lively Carnival in Rio parade winds through the streets. Guests who venture to the verdant Amazon may end up on Journey to El Dorado, a dark ride through the South American continent in search of the fabled empire. Others may find themselves at the Temple of the Feathered Serpent, a cantilevered coaster that pits Guests face-to-face with Quetzalcoatl, the Aztec serpent god. 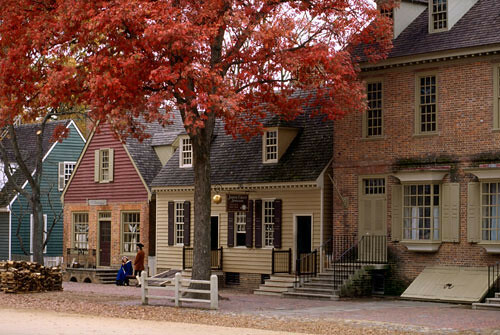 Through a few hidden alleys, Guests arrive at the other side of The Americas, a charming town in the United States themed to Colonial Williamsburg. Johnny Appleseed and Casey Jones are known to peruse the streets, whistling folk tunes and sharing their stories with intrigued Guests. Classic American eats, from hamburgers and hotdogs to barbecue and buffalo wings, are sold. While it’s the perfect place to eat for Guests preferring to stay with familiar dishes, the offerings are nonetheless scrumptious. 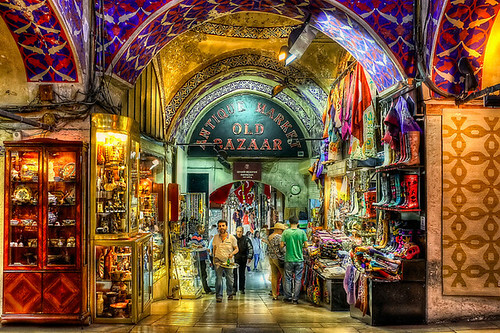 Guests who take a stroll out of the town will be greeted with the hustle and bustle of Istanbul’s Grand Bazaar in Arabia. The scents of spices waft in the air, and intricate lanterns scatter colored light throughout the streets. For those with adventuresome tastebuds, the market offers such delicacies as falafels and fried grasshoppers. Venturing out of the market, Guests find themselves in a thriving Middle Eastern city along the slope of a gentle hill. Guests can climb aboard the humps of a camel in Jamal’s Camel Rides, a family flat ride, or explore occupied and intricately decorated residences while their inhabitants are away at work. Adoring the top of the hill is an impressive palace, inspired by the architecture of the Hagia Sofia. This houses the land’s signature attraction, Tales of the Arabian Night. Here, Guests board flying carpets that gracefully soar through the night sky as Scheherazade narrates one of her 1001 tales. Using innovative technology, this attraction tells several stories with the same ride track, encouraging repeat visits. Guests who manage to navigate back through the city and the twisted paths of the bazaar will be awed by the gorgeous coastline of Europa. 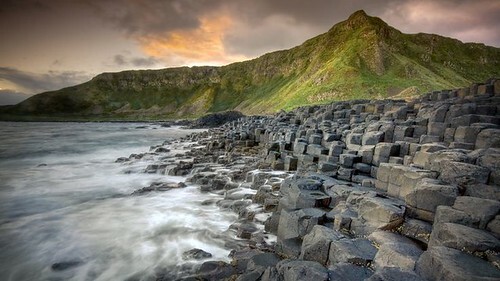 Based off of Giant’s Causeway in Northern Ireland, the unique rock formations emerge from the lagoon, rising to the foot of an expansive medieval castle. From outside of the land, all that can be seen is the large castle, but Guests who venture through the fortress’ walls are greeted by an intimate European village. Outdoor cafes adorn the streets, where Guests can nibble on a croissant or sip on a French pressed coffee. The outdoor Grimme Theatre with expansive seating brings to life the classic stories of Hans Christian Anderson and the Grimme Brothers in a fun, interactive puppet show. Near the theatre, adventuresome Guests can embark on Battle for the Black Forest, an interactive dark ride to purge the forest of sorcerers, evil faeries, ghouls, and other villains from European mythos. 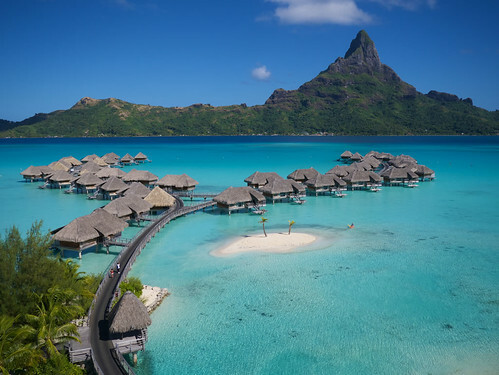 After chasing the supernatural and enjoying a scone or two, Guests can explore Paradise Isles. Three separate islands that are connected by bridges, each with their own distinct architectural styles and landscapes, make up this land. The luau dinner show dishes up island delicacies; ahi poke, kalua pork, and lomi lomi are a few of the foods that will whisk Guests away to paradise. The young and young-at-heart will enjoy a scenic water playground bordering the ocean, a perfect attraction for those looking to beat the summer Houston heat. The Naupaka show will delight Guests with its impressive acrobatics, aerial stunts, intricate costumes, and live music. This spectacle beautifully and artfully tells the heartbreaking love story of Princess Naupaka and the fisherman Kaui. After a peaceful show, Guests can paddle their way through the Hawaiian Islands on the Outriggers of the Ocean ride. Through innovative technology that marries physical interactivity with a dark ride experience, Guests will play witness to a daring battle between the gods themselves. After a thrilling day of exploring the park, Guests will witness the stunning Night of Nations show. Combining pyrotechnics, projections, lasers, water screens, and even drones, this spectacular tells stories of the creation of night from around the world. With myths like the Norse Nat pulling night through the sky on chariot or the Egyptian Ra traveling through the heavens during the night, the show draws similarities between the stories of cultures from around the world. Even though each has their own characters and slightly different specifics, at their cores they’re all telling the same story. When the Nations globe rises about Imagination Station, it serves as a reminder that much more unites us than divides us. With this beautiful display, a day at ImagineNations comes to a dramatic and touching finale. Through its unique and innovative attractions, world class theming, delicious food, and engaging shows, ImagineNations will excite and engage the minds of people around the world. Here, Guests aren’t merely witnessing stories - they’re a part of one. It’s time to explore your imagination. *Michael Eisner, due to the quality of your proposal your entry is pending approval of the other judges. We will announce our decision whether or not to allow your park to compete within 48 hours. Welcome to the competition, everyone! I look forward to seeing all of your parks develop over the course of the competition. Each of you have created a very unique theme park, but ultimately only one of you can claim the title of Champion. Due to some scheduling conflicts, critiques for this challenge will not be available from all judges until Monday afternoon, but all of you are in. Your first challenge has already been posted, so get to work. Good luck, competitors! 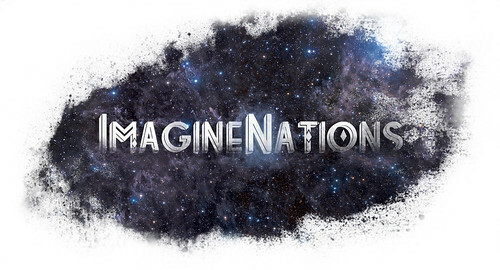 I'm excited to continue developing ImagineNations and to see all of the quality proposals and ideas that the other contestants submit! Quick question: may I make an edit to my proposal? There's a few things that I noticed I forgot to bold in HTML that will help with clarity. I wouldn't normally ask this and it's not a really big deal, but since there are no rankings or eliminations it should make it easier for the judges to understand my idea. Just let me know. Thanks! Andy, we have a record of what and when you submitted so if you want to make a few formatting edits go ahead. Do not make any content edits, however. Michael Eisner has an announcement. QUIET! I’d hoped that my spectacular proposal would have inspired some of my so-called “competitors.” And yet every single one of you remains as naïve as ever. Themes in a theme park?! How jejune! Still, my munificence is boundless. My humility transcends the very heavens! Therefore I, Michael Eisner, who grabbed the Sun, formally announce my withdrawal from Theme Park Apprentice 8. I shall retreat to my lair and silently monitor your progress from the crevasses of this world. MWAH HAH HAH HAH HAH! I might even crown someone The Next Paul Pressler. Will each of the parks be receiving some pre-competition critiques so that we can prepare for the competition? Yes! We are working on them and will have them up by the end of the day today! Thank you. We apologize for the delays in posting critiques for this challenge. Unfortunately, we had a situation where all three judges where otherwise occupied on Sunday, so with the number of late submissions it is taking us a little longer to get everything written. As there is no elimination for this challenge, we feel it is better to take an extra day or two to provide valuable feedback rather than rush the process. Blake has informed me that he will have his critiques posted very soon, and I will have mine up later this evening (hopefully by 10 P.M., but definitely by midnight). DPCC was at a conference all weekend and just returned late last night, so he will have his critiques up as soon as possible (hopefully tonight, but if not then likely tomorrow). Once again, we apologize for this delay. For all future challenges, we will have critiques posted within 24 hours of the deadline unless otherwise specified in advance. Wow! This season of TPA is going to be a great one! Welcome all to TPA. Thank you for your entries and I applaud and welcome you to TPA 8. Just based on the entry challenge, I can tell this is going to be a great season. Enough with the pleasantries, onto the critiques! I'll try and keep them short and sweet, eschewing my traditional “pro/con” format for this initial challenge. FLASHBACK: THE THEME PARK-CHAD H.
First of all, great choice on theme and location. The theme park industry could use some more historically conscious parks and attractions. The location is also perfect, and your decision to tie it into the already existing and robust local tourism marketing is a solid choice. You've also gone to great lengths to ensure Flashback maintains a genuine and authentic historical feel. This is perfect going forward with your overall theme and presents you with some great opportunities to create some really unique attractions and experiences which guests won't be able to find anywhere else. Your lands are varied and well designed. I especially like The Crystal Palace, as it essentially functions as a 'fail-safe' land, providing attractions, shelter from the often dreary English weather, and still fitting into your theme in a fitting manner. This was a great way to provide an indoor land while at the same time presenting it as and entirely appropriate themed land. I'm eager to see your line up of attractions. The attractions you have listed all seem perfectly fine and fall in line with a realistic budget of what a park such as Flashback could reasonably afford, but I felt that there wasn't that one e-ticket which turns the park from a solid regional park into something which can't be missed by theme park fans. Hopefully I'm proving wrong. Ultimately, Flashback is a fantastic park and I look forward to reading more about it going forward. Straight out of the shoot I love the theme and location. While I wouldn't consider myself a connoisseur of Russian fold tales, I have a genuine interest in the subject (though the Dostoyevsky fan in me awakens my existential desire to explore them more fully in search of suffering and truth). I love your central weenie. The World Tree will act as the spiritual and geographic center of the park and the fact that you've peppered it with attractions makes it that more special. Folklore Forest, Glorious Kiev, and The Enchanted Caverns are pitch perfect lands, themed to your overall theme perfectly. I'm especially excited to see what you have planned for Glorious Kiev. I am slightly concerned with how Noble Tsardom integrates your overall theme with the rest of the park. Apart from the Gogol connection, it seems to be more of a historical land based on a romanticized version of St. Petersburg rather than conforming to your theme of folklore and legend. On the other hand, the way you've described the land and the attractions, this would certainly give the park an elegant and appealing area to entice more mature guests. Regardless, I'll wait to see what you have planned for attractions before passing anymore judgment. Outside of these thematic concerns, the land itself seems absolutely wonderful. The nod to the Russian arts is certainly welcome and would give the park a truly unique atmosphere and aesthetic which wouldn't be available at most theme parks. Overall, Buyan Park offers guests a unique and fantastic experience. I'm excited to see what the reigning champ comes up with this time around! The idea of an animation-centered Disney Park is something that I think is going to work really well. Animation is the backbone and spiritual center of the Disney Corporation as a whole. Everything begins and ends with their animation department so creating a park specifically themed to this sacred cow is a smart choice. I also think the location is smart. Dubai is trying to establish itself as the new theme park capital of the world but lacks any of the big hitters to really achieve that goal (no Disney, Universal, or Six Flags park as of yet). It’s tough to say if we’ll see these big names in Dubai someday, but I would guess that we would. Your lands are all themed appropriately and fit into your overall theme perfectly. While I’m not entirely convinced you should dedicate an entire land only to Winnie the Pooh, it is still a solid fit for your overall theme and will be great addition to a solid line up of lands and attractions. One thing I would advise is to ensure that your Fairytale Festival has enough variety in its attraction and thematic line-up to appeal to all visitors. Yes, the princesses are certainly crowd favorites, but don’t forget that Disney has a slew of animated classics which would fit perfectly into this theme which go beyond the big princess movies (Sword in the Stone, Black Cauldron, Robin Hood, Hunchback of Notre Dame, Hercules, etc.). Going forward, I would recommend you learn how to use standard HTML codes to achieve simple things like bold text, italicized text, and how to insert pictures. Again, this isn’t a necessity but it will certainly help you as well as the rest of us get a better understanding of what your proposals are attempting to convey. A historically conscious park through some of our nation’s most iconic sites and destinations is a great concept theme for a regional park. As for location, you’d be hard pressed to find a better location that D.C., our nation’s capital. A great choice. Your lands are also spot on. You’ve hit every major area of the U.S with the exception of the Mid-west (Those “fly-over” states are just as central and important to American culture and history). Yet the lands which you’ve detailed represent our nation’s wide tapestry of natural and cultural beauty. Going forward, make sure you keep your overall theme in mind. If I’m not mistaken, your theme seems to be a celebration of our nation’s diversity and history. Now I’m not here to tell you how to build your park, but taking a more nostalgic/historical approach to design may serve you better for many reasons (political climate, changing nature of geographic cultures, the fact that visitors can go visit these ‘real’ locations themselves rather than go to a park, etc.) but ultimately it’s up to you on how best to incorporate your theme throughout your park. I look forward to reading more about your park. Your dining options make me want to visit alone! A fantastic array of regional cuisine to delight any palette! Let’s start with the good stuff first. Outside of Tokyo Disneyland, I could easily see a Toho Studios park being the biggest theme park in Japan. As you’ve correctly pointed out, Toho Studios has been at the forefront of Japanese Pop Culture and film production for generations. Their influence is so vast, that even most western guests would be familiar with many of their IP’s such as Godzilla, Kurosawa’s works, Akira and Ghost in the Machine. The line-up of lands and attractions is impressive and mixes classic Japanese animation with the worldwide appeal of Japanese cinema. I am a little weary about allowing the use of Ghibli IP’s as Disney also owns distribution rights and I can’t see them letting a competitor use IP which they also have access to, but considering that Ghibli is distributed in Japan by Toho I think it’s fine (For reference, Disney is only allowed to distribute Ghibli in the U.S.). I also think it would be a real shame to ignore possibly the most influential anime studio of all time based on a technicality. I do have one gripe about your proposal, and it has to do with the concept of theme. While you do a great job of creating themed lands, I feel like you may be lacking in an overall theme. Apart from the theme of ‘movie’s’, Toho Studios itself is more akin to an IP than a theme. If you make it to the finals, make sure you clarify what exactly the overarching theme is and incorporate that into all your proposals going forward. Other than this gripe, I think you’ve got one of the most unique and tailor-made parks yet presented and I look forward to seeing how it develops. While your park is certainly the most terrible of all that have been presented, I feel like you may have nailed the concept of overarching theme better than anyone! Your dedication to the theme of moral nihilism is the best integration I have yet to come across. Nietzsche would be pleased to see that a true Ubermensch has arisen! -Your park must be a stand-alone property. That means you cannot add on to an existing resort, so something like adding a fifth park to WDW or a third park to Universal Orlando would not be acceptable. Your park was proposed as an expansion to the Hong Kong Disney resort. If you make it to the finals, remember that this location can’t be used. For the purposes of this entry challenge, I’ll gloss over this. With that out of the way let’s talk about your park and theme, because you’ve got a lot of good stuff going on here. If I’m envisioning your entry land properly, this could be Disney’s most beautiful opening land ever created. The idea of having a lavish royal court and palace right at the entry of the park is something that is both grand and appropriate. I really like the idea of a Disney Imagineering Academy, but I fail to see how it fits into your overall theme. Perhaps guests who get through the Academy could receive some ‘royal treatment’? A minor quip, but something I noticed. I really like the rest of your lands and attractions, though I’m having trouble wondering how Neverland specifically fits in with the theme of royalty. Regardless, your line-up of e-tickets is solid and interesting. A Sleeping Beauty roller coaster featuring a fight with a dragon sounds very impressive and certainly in line with your theme. Going forward, remember to pay attention to details, as they will matter more and more as the competition proceeds. A historical theme park recreating historical theme parks? That’s a post-modern twist on themed design if I’ve ever seen it! I really like the idea of recreating an idealized version of historical amusement and theme parks and you’ve done a fantastic job of staying true to history while incorporating modern technology and attraction design. 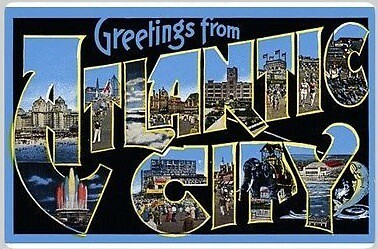 Atlantic City is certainly a sort of Atlantis of theme park history. Its history and importance is known by all theme park historians but none of it remains. Bringing some of that magic back to the modern world would be welcome. Your line-up of attractions seems varied, historically significant, and, most of all, FUN! The Monopoly City is a fun tie-in, but I’m not sure it keeps with your overall theme of a romanticized recreation of golden age Atlantic City (even if the game is based in Atlantic City). Regardless, it seems like a fun and unique land. I’m slightly confused on how the split between the Park and Pier is supposed to work. 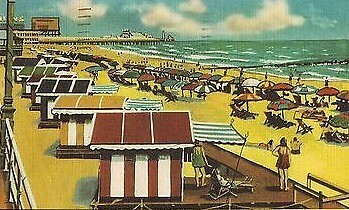 Is the pier simply another land? Is it an entirely separate park? Do you intend to use the old ticket booth method, where guests buy tickets and use them to access the attractions? While I understand why you separated the two based on thematic principles, I’m not sure makes operational sense in today’s theme park industry. Overall you’ve got a solid theme and a solid line-up of historically conscious attractions. Firstly, GREAT name! I like the portmanteau you’ve come up with. It sets the tone and theme for your park perfectly. Secondly, good choice on location! Ever since the closure of Astroworld, Houston has lacked a serious theme park for some time. Additionally, placing it in Texas fills the much needed destination Theme Park Resort in Texas, the center of the nation and close enough to many other major cities in the central-southern U.S. (Dallas, Austin, San Antonio, New Orleans, Little Rock, Kansas City, Oklahoma City, etc.). Your theme is also very solid. The idea of myths and legends is sure to offer plenty of creative opportunities while at the same time presenting content that is familiar to many people without the hassle of IP rights which many parks run into. I am slightly skeptical of the way guests get into the park, but seeing as you’ve created essentially another attraction and seeing as many other parks use similar methods to get guests into their parks, I think it works (though lord help you if one of your trains goes down!). Your lands are all fitting and well themed. You’ve gone to great lengths to incorporate the many and vast cultural stories of folklore, myth, and legend and present them in a manner which is both appropriate to your theme and historically accurate. Overall, I am very impressed and look forward to seeing how ImagineNations develops. That about wraps it up! Congratulations to all the contestants! Without your drive, creativity, and dedication TPA would never work! Good luck to all! First off, once again I apologize for the delay in getting these posted. The past week has likely been the busiest week of the entire summer for me, and unless something changes my summer routine should be pretty much locked in after this week. Secondly, I'd like to thank everyone for their excellent submissions. While it may be a little too premature to say for sure, this may be the best selection of concepts we've ever had. Everyone has created a very unique park, and judging these against each other is going to be no easy task. I'm glad to see that we've got everyone from former champions to complete rookies in the field this year, and I think it is going to be an outstanding season. Chad H (Flashback: The Theme Park): A retro theme park full of old-school rides that aren't as common in modern theme parks is a very interesting idea. You've certainly got the appeal of unique offerings, but also the danger of not being competitive with more modern parks. The location of your park makes a lot of sense, though it does put you in competition with several other theme parks. That said, if you market toward people who are visiting Portsmouth for other reasons rather than trying to get people to visit just for your park it would likely be very successful. Your park's five areas all fit nicely with the general nostalgia theme of the park. Jubilee Gardens is a great entrance area and evokes the concept of Disney's Main Street while remaining its own thing. Atlantic Boardwalk is a nice area for thrill seekers that fits with your park, with a signature coaster that is one of a kind. The Crystal Palace is an excellent idea given how much precipitation is seen in the UK, and the design is perfect for the park. Pleasure Gardens is a nice place for those who want to take it slow and enjoy their surroundings. Midsummer's Faire sticks out as the most dynamic section of your park with seasonal overlays to keep it fresh and get local visitors to return over and over. The other sections of your proposal are well thought-out and cover nearly all your bases. Overall, this is an excellent park for a tourist area and is one I'm looking forward to seeing grow throughout the competition. Douglas Hindley (Buyan Park): While Russia does feature a handful of amusement parks (Wonder Island being among the most notable, as well as your primary competition), you have proposed something that doesn't exist anywhere in the country. Your theme is very appropriate for Russia's first true theme park, and while the majority of visitors will likely be of Russian descent you've created a park that appeals to others as well. As your park is located in a tourist destination, making it multi-lingual is also very smart as Russian (and the Cyrillic alphabet) are likely going to be difficult for any foreigners to figure out. Placing the park primarily indoors is also a great choice due to the weather of the region, but it may have been better to go with a mix of indoor and outdoor sections. The layout of your park is great, however, and your various themed areas work well together. The Great Oak Hill is a neat hub area and is not something you would typically find indoors. I like the choice of two fantasy areas, with Glorious Kiev being more realistic fantasy and Folklore Forest is more of the fairy tale style. Enchanted Caverns works particularly well with an indoor theme park. Noble Tsardom is a bit incongruous with the rest of your park, but it may be good to have a more real and grounded section for those who tire of the fantasy in other areas. Overall, your park sounds very much like Parc Asterix or Efteling, utilizing local culture and stories to back the theme and giving visitors a great experience without having access to a Disney-sized budget. You created an outstanding park last season and I have high expectations for this one. Christopher Sturniolo (DisneyToon Dubai): A middle-eastern Disney resort that features a studio park instead of a Magic Kingdom? Difficult to pull off, but I think you've done a great job of it. Building the park entirely indoors makes a ton of sense in Dubai, and it works fine for a movie studio themed park. While these types of parks tend to have flaws, you have addressed many of them in your design and offer an example of how to do this theme the right way. Studio Central is an excellent entry land for your park, with some elements that Disney fans have wanted for years. Toon Backlot is probably your weakest themed area as it would need constant overlays to keep it relevant within the theme, though the properties represented absolutely belong in your park. Classics Corner is an excellent way to feature some of the early Disney cartoons that are really the foundation of the company yet have limited presence in the existing parks. Winnie the Pooh seems an odd choice to devote an entire land to, but 100 Acre Wood is a great concept for an entire Pooh area. The Disney Princesses are extremely popular, so creating a new Fantasyland concept directly aimed at them is a great idea, but you must be certain that Fairytale Festival appeals to all visitors and not just princess fanatics. Lastly, Pixar Studios is a good way to get all that IP into your park, and though having disconnected mini-lands ordinary would be out of place it actually works nicely with the studio setting. Overall, this is an original version of a Disney park that does have some minor issues, but could easily be an excellent park with just small tweaks. Regardless of which other Disney parks a guest has visited, this one will also give them a fresh experience and that is definitely commendable. realdonaldduck (America the Beautiful): An American theme park themed to America is one of those things that surprisingly doesn't exist. Despite the large number of regional theme parks that draw from the Washington, D.C. area, there is no major park right near the city itself so you'll have a strong tourist market to benefit from. The theme also makes that the ideal location for your park. Splitting your park by region is the obvious choice, and I like the decision to hire cast members from each region instead of only hiring locals and training them to play a part. Your park's layout isn't bad, but I wish you had gone with something a little more unique, such as shaping your park like the country and placing lands as appropriate. As probably the most famous city in the country, New York works as an entrance area, though it may have been better to use that as a land and create something that isn't a real place but simply says "This is America" for the entrance instead. However, your justification does make sense and the area is a great introduction to the park. New England is one of the more historical parts of the country, so I'm a little disappointed to see that you haven't focused more on that. Yellowstone is a great national park, but it may be better to have an area themed to the Rocky Mountain region as a whole instead. The West Coast section of your park is very well done, with my only complaint being that it references only Northern California and omits Southern California, arguably the more well known part of the west coast. The Frontier seems to be more about historical events than any one region, making it slightly discontinuous with your other lands. The Southeast nicely rounds out your park, though with two other lands being heavy on nature I'd suggest making sure you focus on what makes the southeast the southeast. Your nighttime spectacular sounds, well, spectacular, and the various dining options throughout your park are good. Overall, you've got a solid park that sounds like a better American tribute than the Disney's America idea from years ago. This is a park concept that I'm surprised hasn't been built yet, and with the right location and attractions I'm sure it would be extremely popular. Andrew_G (Toho Studios Park): With Japan already hosting a Universal Studios Park and a Disney Resort, building a second studio park there is an interesting choice. However, this park would likely be very appealing to the Japanese and could thrive off that success even if tourist traffic was limited. Dividing the park by genres is a smart method, though putting two Gozailla lands in the park seems like overkill. Putting all your "behind the scenes" attractions in one area is a smart move, as those things are needed in a studio park but disrupt the theme elsewhere. Neo Tokyo is an excellent Sci-Fi area, though I must admit I am familiar with very little of the IP used here. Battleground: Tokyo is your Gojira land and it is an excellent showcase of the famous monster. Monsterland, however, feels a bit extraneous, and with the wide range of Japanese pop culture it seems like there could be a better option for a land than doing a second one themed to kaiju. Anime Prefecture feels like Disney's Toontown done right and is a good way to represent anime in your park. I am not familiar with Studio Ghibli, but Ghibli Hills is a nice area of your park and provides a nice contrast to the more urban areas previously mentioned. Lastly, Feudal Shogunate is a great way to complete your park and is much calmer than most of the rest, providing an escape while still being immersed in the overall theme of the park. Overall, your park is an excellent place for Japanese locals and tourists, with the main drawback being that it won't appeal that well to those unfamiliar with Japanese pop culture. If you can find a way to balance this and tap into the international tourist market as well, you may have a serious competitor for Japan's Disney and Universal parks. Michael Eisner (Eisner's Unthemed Adventure): While you have withdrawn from the competition, I will still provide a critique of your proposal. Eisner's Unthemed Adventure is so bland that it makes the original version of Disney's California Adventure look like a masterpiece. Your "park" is less a theme park and more a tourist trap for Eisner fanatics, which are likely to number so low that you may be able to operate for a week or two before falling into the red. Your park is lacking attractions, providing little reason to visit and little reason to remain if you foolishly purchased an admission ticket. Overall, I will just say that when the most appealing feature is the gate under the sign marked "Exit" you've got a real problem in the highly competitive market of today. Karina Bhattacharya (Disney Royal): I hate to start like this, but unfortunately your park does not follow the theme of this season. As stated in the announcement post, you must create a stand-alone property and not build on to an existing resort. There is no need to redo your entry, but going forward you will need to relocate your park and treat it as a single Disney park instead of a second park at a resort in order to remain in the competition. Moving on, your theme is a great one for Disney and is one I'm a little surprised has never been a huge part of their parks. Royal Boulevard is a fantastic entrance area for your park, though the Disney Imagineering Academy seems like it would be better as a special resort-wide program rather than an actual attraction. Many fairy tales have French roots and royalty is a big part of French culture, so French Court makes perfect sense in your park. Neverland is a nice area, but it doesn't seem to fit the royalty theme of your park. The New World is a great way to fit in some less popular Disney properties, though you must make sure your central theme remains present in everything. Lastly, the Dark Forest is outstanding and features what sounds like the two best attractions in your park. Overall, you've created an interesting Disney park, you just need to make sure it is rules compliant and not forget that thematic synergy is the central idea of this season. Keith Schneider (Rendezvous Park & Pier): Atlantic City is right in the middle of many of New Jersey's pier and boardwalk parks, but you've created the destination pier and boardwalk. Rendezvous Park seems to be the main theme park portion of your proposal as it contains several smaller areas with individual attractions. World Expeditions, Ocean Kingdom, and World of Tomorrow all fit nicely together and form a nice exposition park with plenty to see. Monopoly City sounds like a clever tie-in that may be pure product placement but actually works decently well with the overall idea of Rendezvous Park. Rendezvous Pier is more of a basic amusement park that is connected to your theme park, and while it is sure to create a lot of draw it also doesn't mesh thematically. I can't tell if you intend this to be one big park or two separate smaller parks, but if you are opting for the latter you must use a pay per ride system to allow it to be treated as a single large park. Overall, this is a very novel concept for a Theme Park Apprentice competition, as it is a theme park but does not feel anything like what a typical theme park would be. Whether this is a winning strategy or is just not feasible, only time will tell. Andy Teoh (ImagineNations): Myths and legends form the basis of many stories and are an excellent choice for the theme of a park. Despite being one of the largest cities in the country, Houston is lacking any sort of theme park, and despite Texas being one of the places suitable for year round operation it lacks a destination theme park, so you've picked a nearly perfect spot. Your Food Map concept is a great idea to not only offer many unique options, but also to help sell them as guests receive a reward for trying everything. Dividing your park up based on the origins of various tales is very smart to avoid creating a dead-end area that has no expansion potential. Locating your entrance area, Imagination Station, directly in the center is both brilliant and problematic, as it makes a ton of sense thematically but effectively limits the number of people your park can hold. Your five themed areas cover a wide selection of various regions on Earth and allow for the presentation of lore from around the world without anything feeling out of place. While the areas each have a distinct setting, together they form a cohesive representation of the dominant cultures throughout recorded history. Overall, this is one of the most creative parks I have seen in the three seasons of the cumulative format and I expect some great submissions from you in the upcoming challenges. Once again, thanks to all the competitors for making this season possible. Now, the competition really begins. Good luck to all of you, and I can't wait to see how everyone's park develops over the coming weeks. Hey everyone! Sorry these took so long. I was away over the weekend and have finals this week so I’ve been really busy. I promise not to be so late again. But, I got my critiques done...better late than never! Way to get the ball rolling, Chad! This is clearly a well-thought out proposal that wasn’t first conceived in the last two weeks. I don’t know the geography of the UK, but based on the information you’ve given us and the research I’ve done, Portsmouth seems to be a fine place for a theme park. However, it isn’t perfect. That’s what the competition is about: making it perfect. For starters, your name and logo don’t really match the theme. For me, they evoked images of maybe the 70s or 80s, but certainly not the time periods used in the park. Another issue with your park is, if your park uses primarily “classic” rides, will it truly draw in the modern visitor? If it is composed in large part of flat rides, and rides that are “classic”, what distinguishes it from a collection of vastly unthemed rides? While your themed areas are good, they will have to be REALLY superb to pull together your rides. None of your listed “signature attractions” are truly themed. As the emphasis of theme parks becomes more and more on theme and story, your park may be left behind. Those are the areas in which your park is most severely lacking. Overall though, for the type of park you’re creating, you’ve done a great job with it. I just worry that it won’t appeal to the new generation of theme park goers. When I started reading this pitch, I was a bit unsure. A whole park based on Russian folklore? Based on the fact that I hadn’t ever heard of any, I assumed there was next to none. But, Douglas, you either have an incredibly extensive natural knowledge of it, or you did a lot of research. I’m betting on the latter. You clearly have a very well thought out park here that didn’t just plant itself in your mind in the last few weeks. Your lands are interesting and varied, and your attractions all seem like fun. My biggest concern is the size of your Great Oak. In an indoor park, I worry that it won’t be able to be of a magnificent enough size. Otherwise, though,Congrats on a great proposal! Frankly, I’m surprised this idea hasn’t been done yet. Animation is what makes Disney what it is. It’s like bringing the company back to its roots. Your toon backlot worries me. You say it would be dedicated to “more recent films”. It’s really hard to market it that way, because eventually they won’t be recent anymore. You could rotate the IP, but the rides you have there are not rides that are cheap or easy to dismantle and replace. I love the concept of a black and white area, although actual people being in color may be a bit of a disruption. Fairytale Festival and 100 Acre Wood both seem enjoyable, and your Heffalumps and Woozles show seems really interesting. I’m really questioning Pixar Studios though. Mini-lands are very hard to pull off, and can often give a land a rather disjointed feeling. It’s almost as though the land is a collection of unthemed rides. It might be better to try to find something that can embody all of Pixar, and set all of your rides within it. Maybe an imaginary Pixar city where all the characters live or something. To have a lot of mini-lands simply doesn’t ever feel right. As a whole, your park’s concept is extremely good, and I can’t wait to see how it develops. This is another concept I can’t believe hasn’t been done. At first, I was worried it would come out like DCA 1.0, selling America to Americans. But what I see here is not a bland representation of real life. It’s a celebration of diversity in a romanticized setting. Your park layout works, but a layout like that can cause problems. Think about being in American Adventure at Epcot with a fastpass for something in future world. It takes forever to walk there, or you take the boat. Since you haven’t mentioned any kind of transportation in the park, that can quickly become annoying. Your lands are good, but The Wild West seems a bit out of place as it is the only historical one. On the other hand, I don’t really think it would be disruptive to your theme, so I think it’s probably fine. Lastly, your dining options are spectacular. I think offering a ticket for locals later in the day so they could eat would be an excellent idea with so many quality restaurants. It’s good to see so many interesting restaurants at a regional park. Your concept is interesting, and I can’t wait to see where it takes you! This is such a cool park! You’re utilizing really quality IP that hasn’t been used in the industry before this. But man, I’m a little Godzilla-ed out. I mean, I get it, it’s really recognizable, but by the time I was done reading I was pretty done with it. There’s just too much. But, Godzilla aside, your other lands seem really interesting, even to someone with no real knowledge of the IP. Therefore, I can only imagine that it will be far better to the target audience, which I’m not really a part of. Even knowing that though, I think I would thoroughly enjoy your attractions, and your park as a whole. It’s so interesting to see the different directions people can take with the same IP. Earlier we had a Disney animation park, and now we have one based on the first image that comes to mind with Disney (after Mickey Mouse). The royalty. Unfortunately your park does not comply with the rules of the season, so in order for you to continue on, you’re going to have to change this park’s location. That aside, I have a few other critiques for your park. Your Neverland area, while unique, doesn’t really fit your theme. It really has nothing to do with royalty of any kind. The other main issue is that Road to El Dorado is actually not Disney, but rather Dreamworks, making it unusable in a Disney park. That all said, your park as a whole is really good. Your lands are interesting, and provide more variation than I thought was possible among only princesses. It’s interesting to see two parks based on classic theme parks in one season, and to see such different takes on them! Your lands are interesting, but I worry that you are lacking an overall theme here. For me, your lands seem mostly unrelated, tied together loosely by the theme of being a theme park. While individually they’re good, there’s not much holding them together. Then again, the same thing could be said for Magic Kingdom. Your attractions have the potential for greatness, as does your park, but I think you’re going to have to think about exactly what your park is. First off, I love the name of your park. It’s really clever, and tells me what the theme is. The Texas location is both effective and convenient. The train entering is a big no for me. While I can see what you’re trying to do, I can only imagine the chaos that would come at the end of the day as everyone is trying to leave at once. If you’ve ever been at Magic Kingdom at the end of the day, you’ve seen the line for the monorail and ferryboat. The monorail wait times are often more than half an hour, because these are the only two ways to get to parking. You’d have basically the same problem. Nobody wants that if they can possibly avoid it. If it really matters thematically that guests start in the middle, maybe some kind of aerial walkway would be more effective. Other than that, your park is fantastic. Your lands are interesting and varied, and your attractions all seem fun. I’m also very intrigued by the food map and your unique food options. Overall, you have a great park here, and I look forward to watching it grow. Wow! We have so many great proposals this season! I can’t wait to see each one grow as the competition continues! Good luck to all of you!